Over the years, Mr. Spyros Peter Goudas has given various donations to different organizations in absolute and justified need. However, during the same years, has also received requests from people who unjustifiably have asked for various kinds of donations and support. For example, a group of people asked him to pay for their tickets to tour the Toronto Islands. In another case, a golf tournament group threatened to no longer buy his products, unless a donation had been made to the tournament. Such unjustified and unnecessary requests have brought a mixture of undesired feelings to our organization and are perceived as insulting for the nature of his generosity. Mr. Goudas has a very good knowledge of which organizations really need his help, and he has been supporting them to the best of his ability. In fact, one of the criteria for winning the Entrepreneur of the Year Award in 1993 was a large number of donations made to needy organizations. 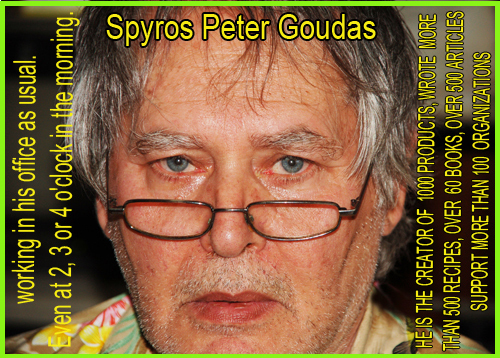 It should never be forgotten that Mr. Spyros Peter Goudas himself has once, early in his career, gone through very tough times of sleeping in park benches and starving for food. He knows exactly how to recognize those who really need help, and he has never denied his support to them. Mr. Willie Williams from Grenada in the Caribbean was a manager at the 813 Club and had something to say at the 30 years anniversary of Mr. Goudas in 1997. Willie Williams also known as Big Willy, towers at 7 feet and weighs 300 pounds. 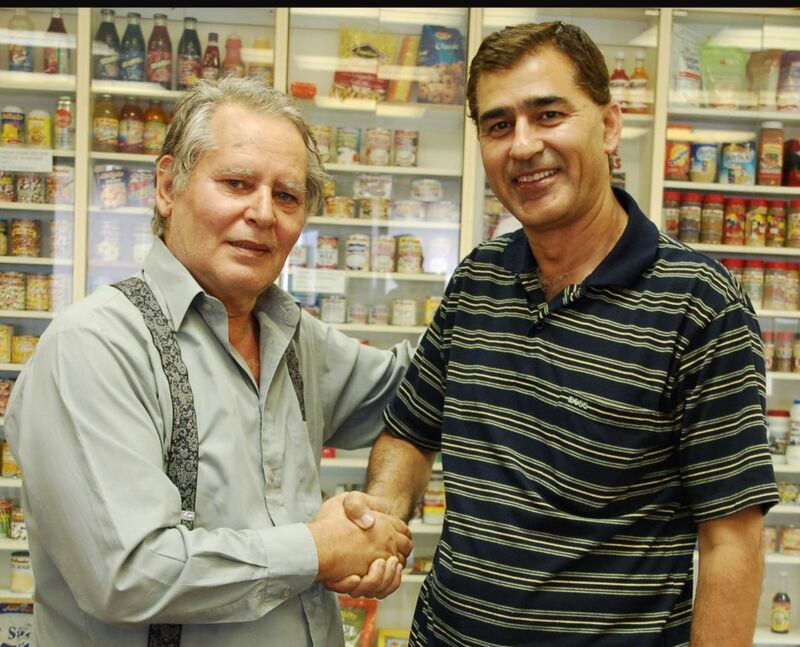 He became acquainted with Spyros Peter Goudas in 1970 at Kensington Market where Spyros Peter Goudas had his first store. A friendship and subsequent business relationship developed. The following is a direct quotation from the biography of Spyros Peter Goudas, titled, The Immigrant, page 76. 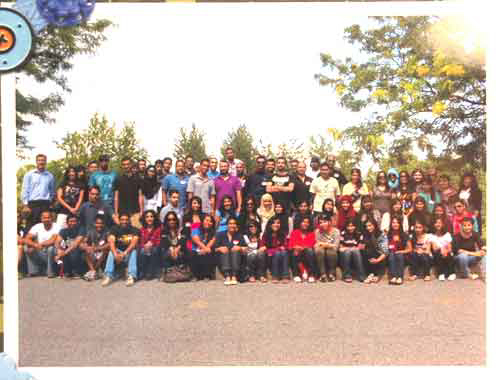 The occasion was the 30th Anniversary of Goudas in Canada Celebration in May 1997. “Everybody is saying what they know about Peter in this era. Peter and I go back 27 years. I met Peter in 1970 at the Kensington Market. Peter went from being the best to be the greatest in 27 years that I have known him. But Peter was not only doing his stuff (being a businessman), Peter was helping people too. I can tell you because I used to be his Santa Claus every Christmas at the “813 Club” and what we used to give away to people at the club, was more than what they could buy for themselves with their wages. Peter is a good man, he has a good heart and doesn’t think only for himself, but he shares with anyone who needs help. Every Friday, Saturday and Sunday, Peter would give away tons of rice, peas, beans, and drinks (soft drinks like Snappy Pop), to people who don’t have. People think that because he is a businessman he puts all the money in his pocket. That’s not true. 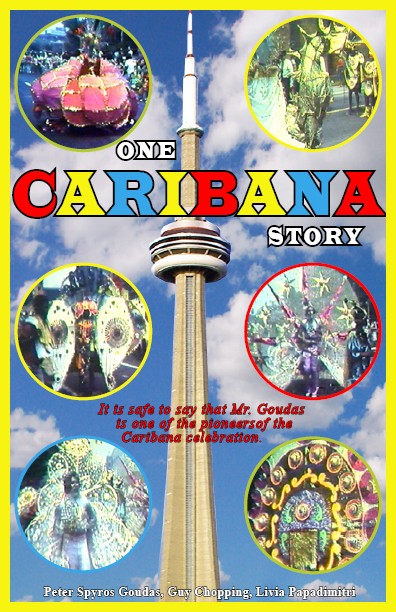 Peter used to sponsor all the Caribana masks, the floats, the trucks, and everything came from his own pocket. He never complains, and never asks for anything in return. I am one of the recipients. Peter used to look after me – he still does. He is the best I have ever known. For those who have had the privilege to see the above film, they may probably have a full understanding that the letters below are meaningless compared to the amount of support that Mr. Spyros Peter Goudas has had over the past years. Spyros Peter Goudas (photo 2012) at work 2 or 3 am. You may not see him often in a Church. However, his philanthropy extends to many churches, church associations and organizations regardless of the religious affiliations, senior citizens community housing sites (for various ethnic nationalities), charitable organizations, scholarships events, cultural organizations, orphanage housing, individuals in need, etc., etc..
Obviously, we cannot help all the countries struck by the Tsunami disaster, so we chose one country as a destination for this aid. We at Goudas Foods sympathize with the victims and would like to encourage those left behind to continue with their lives. Peter Spyros Goudas and all Employees. 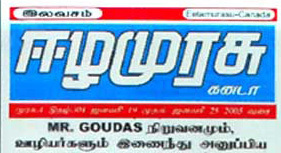 The Sri Lankan newspaper in Canada dedicated an article to Goudas for food products sent to Sri Lanka. We have provided you with a few links which will assist you in understanding the impact of this disaster upon the country. The country had to deal with many, many issues as a result, for example, the Tsunami itself, the demolition of homes and entire villages, the horrific ordeal of the collection and identification, if possible, of the dead, the burial and the hunger of thousands left behind since everything was destroyed. The above links relate to the effects of the Tsunami disaster in this part of the world. In his speech, Mr. Goudas mentioned that the containers with the foodstuff were not only from him but also from all Goudas employees who contributed to the cause. We relatively report something for Sri-Lanka. Until 1972, Sri Lanka was referred to as Kaylani or Ceylon. It is an island with a population of 20 million located in the northern Indian Ocean with marine borders to India in the north-west, has a history of more than 3,000 years with a lot of religions and languages. It has a rich Buddhist heritage. In recent history, they had a thirty-year civilian war that finished in 2009. They produce tea, coffee, precious stones, coconuts, rubber, and cinnamon. Sri-Lanka is known as “Pearl of Indian Ocean” because of its natural beauty and is called a “nation of smiling persons”. Mr. Goudas, with his offer of foods to Sri-Lanka for the Tsunami, became well-known in this state, resulting in his becoming an official proskeklimenos to this country. This means that the government has given him an open and welcome invitation to Sri Lanka. Of course, Mr. Goudas accepted the invitation and requested that upon visiting that he may spend at least one weekend in the house where the film “The Bridge on the River of Kwai" was filmed. Follow the links and view the film that is in 5 parts: (clip 5 you see the view from the house). In this part, William Holden asks Jack Hawkins whether the jump from the plane is with or without a parachute. You have to watch the entire film to understand why they are laughing. This clip gives a wonderful view from the veranda of the house. Today, this is a historical house. The Bridge on the River Kwai is one of the best films ever made. Check it out! Mr. Spyros Peter Goudas took an active part in various negotiations between government and Guerillas in order to find a solution to stop the civil war that cost the lives of thousands. In the following videos, you will see certain pictures from Sri-Lanka and neighboring regions affected by the Tsunami. On Behalf of the Armenian Society (A.R.S.) Roubina Chapter, I would like to take this opportunity to thank you for your kind donation of food products to our society. We try to reach to all those who are in need both in Canada and abroad. We Appreciated your assistance and encouragement for achieving our worthwhile goals. The Barbados St. Michael Alumni (Toronto) Inc. The Executive and members of the Barbados St. Michal Alumni (Toronto) Inc. wishes to convey a sincere thanks for your very generous contribution. The profits realized from this and other events are donated to local charities. We also provide assistance in the form of a scholarship to a student attending a university in Canada, and we provide financial assistance to members of the community wherever possible. In the past as well, your generous donations of food items have been most valuable. National Council of Jamaicans and supportive organizations in Canada Inc. Thank you for your support toward our reception, which will be held at the Jamaican Canadian Centre. Your contribution will not go unrecognized and will receive public recognition. We wish you continued good health and success in your business endeavors! We would like to thank you for your generous support of the annual Festival of our Community. It was a wonderful success. It is with support such as yours that our Church can continue to benefit the community. Afro-Canadian Caribbean Association of Hamilton & District Inc.
On behalf of the members and Board of the Afro - Caribbean Canadian Association of Hamilton In. I offer our most sincere appreciation and gratitude, for all your help, in making "Caribbean Night 2002" held October 27, a successful one. The food, music, and entertainment were equally enjoyable. We had approximately 250 people, and all appeared to have had a good time. Our guest speaker, Consul General of Barbados, Ms. Kay McConney delivered a very poignant and uplifting speech. We could not have done it without your help. Again, many thanks and we look forward to working together with you in the future, for the enhancement of the community. The children enjoyed the special drinks donated by you. St. Vincent and the Grenadines Association of Toronto Inc.
handing out a Food Hamper to each of six (6) households in the Toronto area. Your donation enabled us to put together some useful food items which would have served the families for a few days over the Christmas Holidays. Our sincere thanks to you for helping us "make it happen". With every good wish to you and your organization. The event occurs once a year for a period of four (4) days and provided the weather is good, everyone has a great time. The purpose of the event is to collect the profits from the sales of food, cakes, drinks, etc., with the proceeds going to Philanthropies (who support the poor and underprivileged). Most of the main ingredients used to make the cakes and pastries are donated by Goudas Foods, who support not only this event but also similar events for other nationalities. In the pictures below you may view a display of pastries such as baklava, galaktoboureko, bougatsa, kataifi, spinach pie, tyropita (cheese pie), touloubes, and many different varieties of cakes. 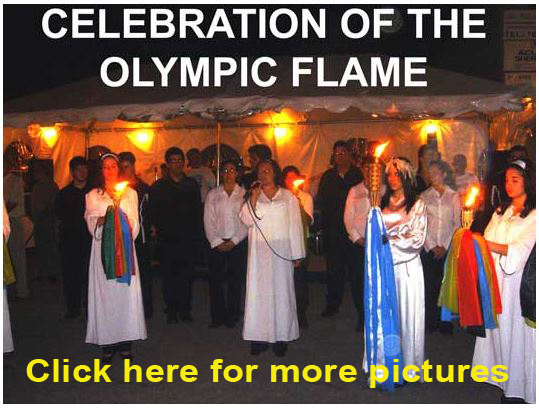 The festivities included the Olympic Torch Flame ceremony, in which young women dress according to tradition for the event. In some pictures, you can see the priest (Peter Mentis) and president of the association (Dimitrios Tsatsaronis) (Agnes Kostopoulos) participating in the ceremony. 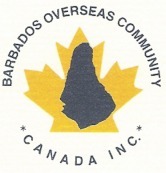 On behalf of Barbados Overseas Community-Canada Inc. (BOCC), sincere thanks for the donation made to us on September 7, 2007. BOCC appreciates the relationship with you and your team and we look forward to your continued support. Dear Mr. Goudas, Thank you so much for your generosity in giving us boxes and boxes of food products for our clients in the food bank. As you know, in the last couple of months, the people we serve in our area have been increasing in numbers and the supplies we get from the North York Food Harvest have not been enough. We serve twice a month, on the 1st and 3rd Sundays, and plan to open weekly, maybe in the spring, as per request by North York Food Harvest. We sincerely thank you for your kindness and may the good Lord continue to richly bless you and your business in your desire to help the less fortunate in the community. 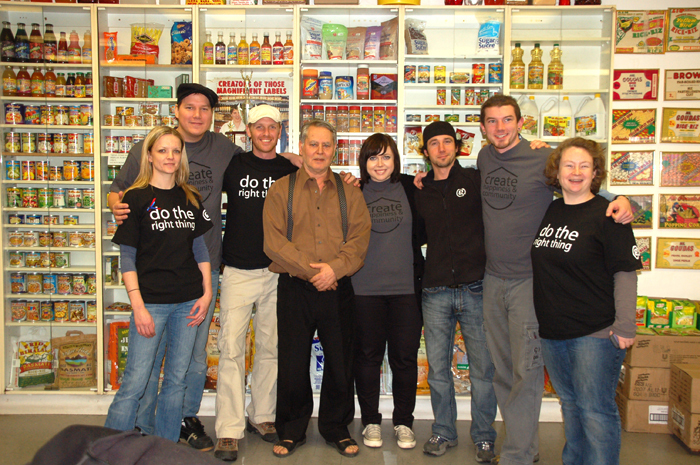 The photo with Mr. Goudas was taken at the Food Bank. He is surrounded by the staff of the Food Bank who are all volunteers. To his left is Bernadette Scott, the colorful one (one of his assistants), the only non-Filipino in the photo. 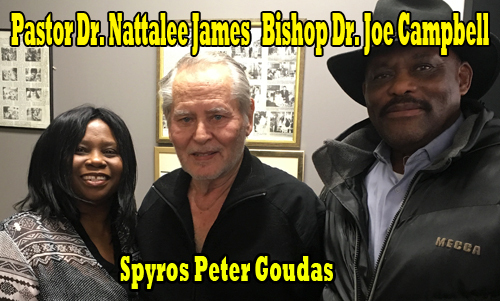 The following are a series of events that have occurred since Spyros Peter Goudas began his connection with this wonderful group of people in the article that states the following. 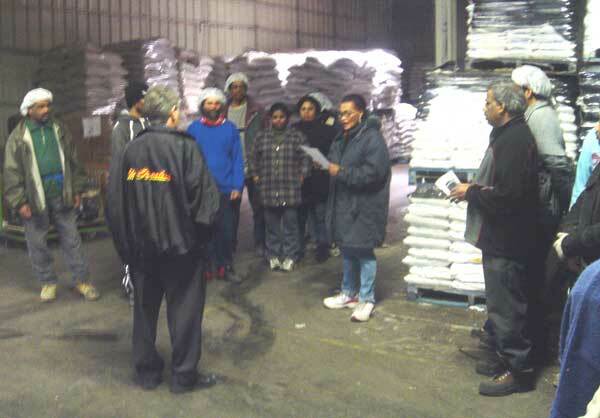 Click here to read the article Mount Zion Filipino Food Bank. The following incident is real. 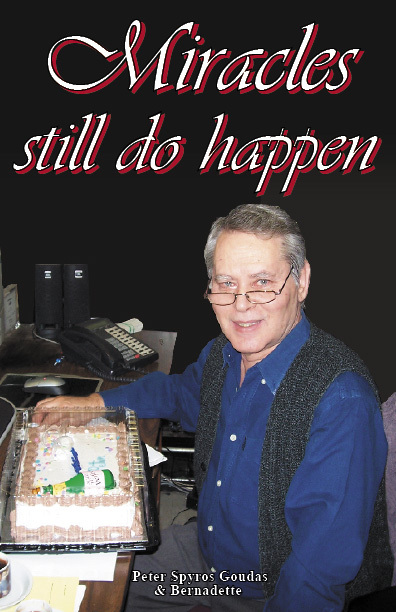 Mr. Goudas was leaving the office when he encountered a former employee. This individual asked him if he could drop him off at a particular location. Upon reaching the destination, Mr. Goudas realized that it was a church building, the location of a food bank. His curiosity was aroused, and instead of simply dropping off the former employee, he parked his vehicle and followed him into the building. He entered the reception area and approached the receptionist. He did not identify himself or gave any clues to who he actually was. The receptionist looked up, saw a man standing in front of her and proceeded to do her job. She dints not asked if he had an appointment, identification, and proof of income before he could meet with an intake worker to assess his need. He smiled and stated that he was not there to pick up food; he needed to know a bit more about the organization and to examine the surroundings because he could be a potential sponsor. He knew deep within that these people were honest and sincere about their mission. When he saw the people waiting to receive whatever this food bank was capable of giving them, for a moment he went back in time to the period when he was homeless himself, sleeping on the streets of Toronto….. (Biography, The Immigrant, page 18, English version). He was given a tour and advised of the history and mission of the organization. When he finally identified himself, they were all surprised and extremely pleased to meet Mr. Goudas in person. This agency’s primary objective is to serve no or low-income individuals and families within their boundaries. Mr. Goudas was advised that their allotment is sometimes insufficient for the number of requests for food, and they try their very best never to turn anyone away. In addition to the food bank, in cooperation with their church community, they also provide a sit-down dinner for the homeless in Toronto. Mr. Goudas was very impressed with the staff and the work they were doing. He then advised the group that he will provide regular donations directly to this cause. Needless to say, they were all very grateful. Ευχόμαστε ο Δωρεοδότης Κύριος να σας ανταμείψει πλούσια με τις υλικές και πνευματικές δωρεές Του. Προσευχόμαστε, η Υπεραγία Θεοτόκος να σας κρατεί πάντοτε κάτω από την προστασία και σκέπη Της. On behalf of the Philanthropic Association of our Community and all our respected members, we express our great appreciation for your generous donation and for your readily provided services, that show your love toward the Church and your understanding of our work. We wish our Grateful God will reward you generously with material and spiritual gifts. We pray that our Holy Mary will always keep you under Her protection and care. 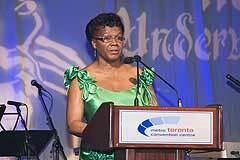 On behalf of the Executive and members of the Barbados Overseas Community-Canada Inc. 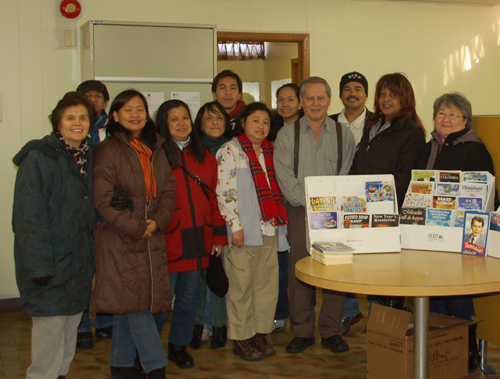 I sincerely thank you for your kind donation of groceries for our 1994 children Christmas Party. It is the kind gestures from people such as yourself within our community that should be acknowledged more often. Hellenic Home for the Aged Inc. The Ladies Auxiliary of the Hellenic Home for the Aged Inc. wishes to extend their appreciation for your generous contribution. We thank you for your continuing support to this worthy cause. The Hellenic Home for the Aged is a not for profit organization dedicated to providing exceptional quality care and services to the seniors in our community that enhance their physical, mental, emotional and spiritual health. By staying at the forefront of the community's ever-changing needs, the service is second-to-none. The seniors live in a nurturing environment that respects, enhances and promotes their dignity, independence, and happiness. The Home offers a unique cultural setting – one that is proud to recognize the customs and traditions of our residents who are of a predominantly Greek ethnic background – but with a long-standing commitment to providing for the needs of individuals from diverse backgrounds. 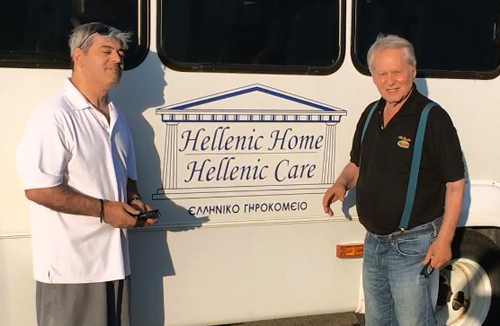 Under the strong, experienced knowledge of staff, supported by our Board of Directors, Committees, and volunteers, the Hellenic Home combines professional practices with compassionate caring – a unique combination that ultimately benefits to residents and the community overall. The dedicated staff works with families, volunteers, and other service providers and agencies to address and provide for the needs of seniors. Thank you for agreeing to continue your support to the Trinidad and Tobago Association of Ontario through your generous donation. In appreciating for your support, we will display your company's name as a sponsor on any flyer we produce for this event. On behalf of the Cypriot Community of Mississauga and District, I want to thank you for your recent donation to the Cypriot Carassauga pavilion. Without your generosity, we would not be able to share the Cypriot culture with other Canadians. Your donation enabled the Cypriot Carassauga Pavilion to entertain more than 10,000 visitors and the Cypriot Community takes pride in another successful year. Once again, thank you for recognizing the importance of maintaining our heritage in the community. The Pan-Epirotic Federation of Canada would like to express its great appreciation for your contribution in the success of the first Award Ceremony, which was organized on November 13th, 1999, with the purpose to award its outstanding students. 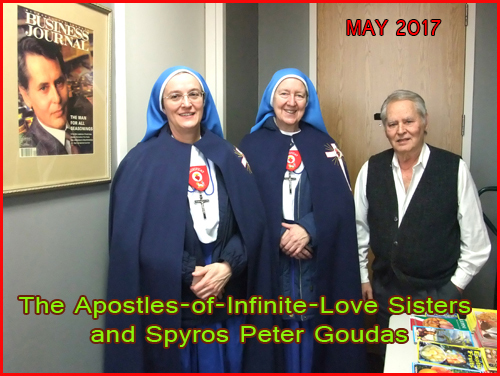 The contribution covered the monetary awards, and the donation of a variety of Mr. Spypos Peter Goudas products for the after-party was generous. We thank you again and hope in your future support and input. Βίντεο σχετικά με την Πανηπηρωτική εκδύλωση του 1999. Παρουσιάζει τον κύριο Σπύρο Γούδα που προσφέρει τα Βραβεία Σπύρου Γούδα (Goudas Awards) στους καλίτερους Έλληνες μαθητές και μαθήτριες. I wish to express my appreciation for your generous Donation as a sponsor to United Way. In what has become a worthwhile tradition, some 300 Scotia Bankers from West Metro Toronto gathered for an enjoyable evening with their colleagues and raised in excess of $53,000. On behalf of the United Way thank you again for your support. On behalf of the Trinidad and Tobago/Canada Assistance Fund Committee (T&T CAN), the staff of the Trinidad and Tobago Consulate and on my own behalf, I wish to convey our sincere appreciation and gratitude for your kindness and the generosity you demonstrated. Your contribution was very significant and helped to make the Brunch the unquestionable success that it was. Goudas Food Products Co. Ltd. is known for contributions to various organizations that support absolutely needy, and desperate hungry people. At the moment, we are focusing on the unfortunate peoples of Iraq, and since their main staple food is rice, we would like to offer you a few thousand families sized bags, to deliver directly to the above-mentioned people. We are a modest company looking to help those in desperate need. However, in order for us to succeed in helping, we require assurance from you that this rice will arrive and be distributed to the people who absolutely need it. We place this task in your capable hands as you have earned the world's respect as a true peaceful leader. This registered mail was sent to Kofi A. Annan, with the response to reserve Mr. Goudas' offer for future needs. However, his excellency promised to have dinner with Mr. Goudas if possible on his next visit to Canada. On behalf of the members and Board of the Afro-Canadian Caribbean Association of Hamilton and District, we offer sincere thanks and appreciation for your help in making our Caribbean Night 2003 a tremendous success. We had approximately 250 people and all appeared to have enjoyed the evening. The food, music, and entertainment were equally enjoyable. Again many thanks and we look forward to working with you in the future, for the enhancement of our Community. On behalf of our entire Founding Group, we would like to sincerely thank you for your donations and your contributions to The Beverly Mascoll Community Foundation. It is because of people like you that we successfully achieve our goals. From the biography of Spyros Peter Goudas, titled, The Immigrant. 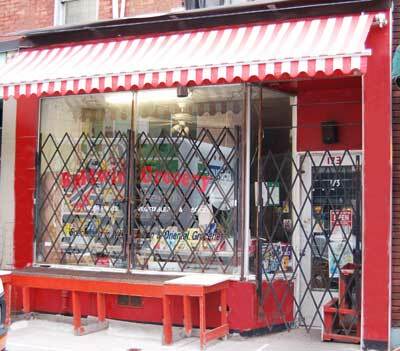 In the Spring of 1972, Mr. Peter Spyros Goudas had a grocery store in Kensington Market (Jewish Market as it was referred to). One afternoon, he had a visit from a very beautiful lady named Beverly Mascoll; she was the owner of the Mascoll Beauty Supply Ltd. (cosmetic supplies business). As it was expected, Mr. Goudas, as the owner of a food company, had no interest in cosmetic businesses. However, despite the fact that there was apparently nothing to discuss, lady Mascoll insisted that she picks up all food products that were unsellable due to slightly damaged packages or ripped labels. Mr. Goudas agreed although he was very curious to hear the reason why would a cosmetics lady need those products. This is when he learned that lady Mascoll was also the founder of an organization that helped poor people. Mr. Goudas realized that this lady was even more beautiful at heart than she was in appearance. 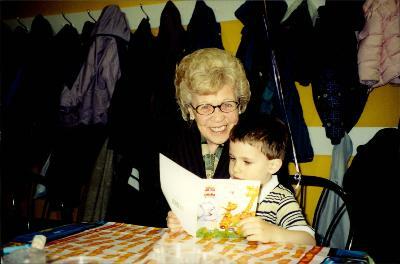 Beverly passed away,( May 16, 2001 ) leaving behind memories to thousands of people that she had helped over the years. 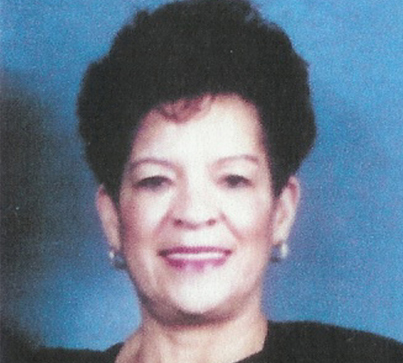 Those of us who knew Beverly Mascoll found her to be an outstanding human being and a wonderful person. 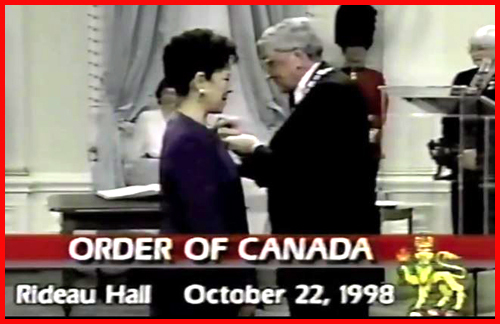 Beverly Mascoll, received many awards and honors, including the Order of Canada. 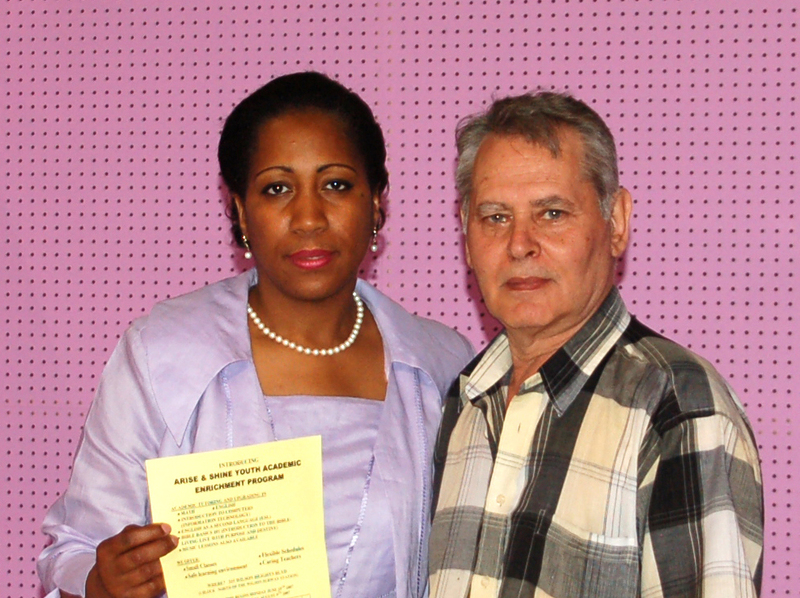 In one of his interviews after Beverly Mascoll's passing, Mr. Spyros Peter Goudas mentioned that although this relationship lasted a few decades, he never once had any reason to wonder if any of his contributions to her organization went into the wrong hands or mouths. On behalf of Prophet Elias' Greek Orthodox Community, I would like to take this opportunity to thank you once again for your generous support. On behalf of the Guyanese Heritage and Cultural Association, we wish to thank you for your contribution of food products to our organization, it was greatly appreciated. The Ladies Auxiliary of the Hellenic Home for the Aged Inc., wish to extend their appreciation for your generous contribution. We thank you for your continuing support of this worthy cause. 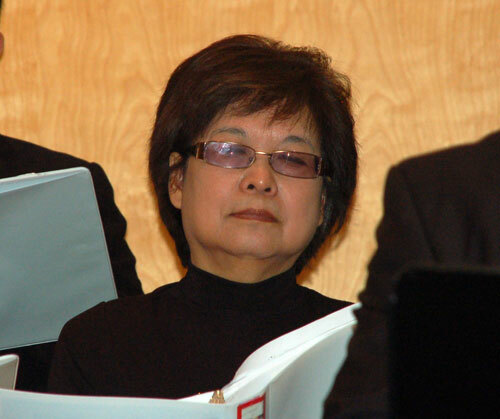 Maria Capetanakis, Μαρια Καπετανακης, Maria Peacefully on Monday, September 2, 2013, at the Mackenzie Richmond Hill Hospital. Beloved wife of the late Platon. Loving mother of Strato (Dina) and George (Ellen). Proud yiayia of Jackie, Platon, and Athena. Dear sister of Alexandra and Cristos. She will be sadly missed by many family and friends. If desired donations to the Hellenic Home for the Aged would be appreciated by the family. 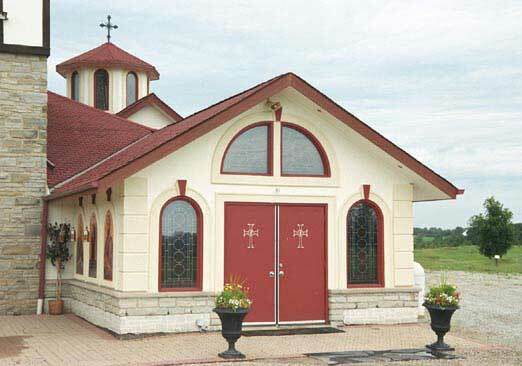 On behalf of the Parish of the Greek Orthodox Church of Saints Panteleimon, Anna, and Paraskevi (Markham/York Region). We would like to take this opportunity to thank you for your continuing support and most generous donations towards our community and the homeless and needy people of the city of Toronto. Your contributions have helped this community as well as the greater community of the city of Toronto in a most positive way. God bless you and all your employees for your love and support. This certificate is awarded to Mr. Peter Spyros Goudas of Goudas Food Products Co. Ltd. in recognition of your valuable contribution to: The Hellenic Home for The Aged Inc.
On behalf of Prophet Elias' Greek Orthodox Church, we would like to take this opportunity to thank you once again for your generous support of our Community and its Festivals in the past. We would like to invite you to stop by as our guest and enjoy the Greek atmosphere and entertainment. Also, as you can well imagine, such an undertaking requires many supplies. Hoping for your continuing support, we are asking on behalf of the Festival Committee, if you would be able to help us with supplies. We thank you in advance for your kind consideration of this request. 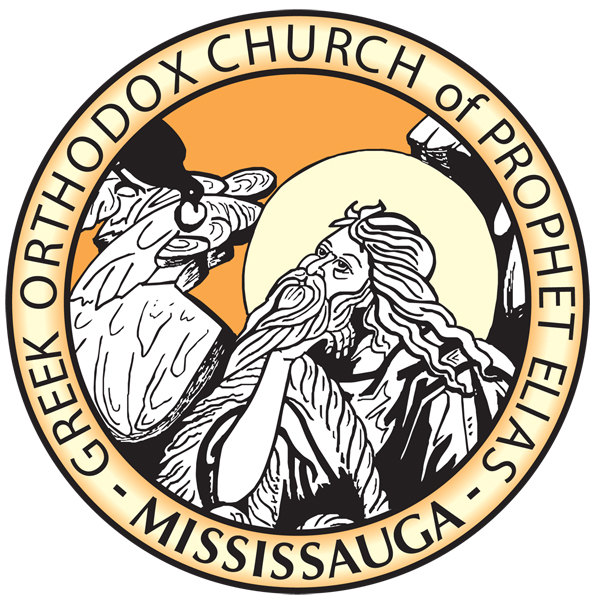 We would like to thank you for your kind donation to the Greek Orthodox Community of Mississauga, Church of Prophet Elias. It is with the generous support of contributors, such as yourself, that our Church will continue to grow and be better able to serve God and His people. The CEGA Award for Philanthropy will be presented to John Dagonas, Director of the Hellenic Hope Centre for Persons with Special Needs. Mr. Dagonas’ contributions transcend the standard notion of philanthropy by the sheer volume of organizations, committees, and projects in which he participates. has resulted in the construction of a larger and more modern facility for the organization. Hellenic Home for the Aged, The National Bank of Greece, West Park Hospital and Metamorphosis School. 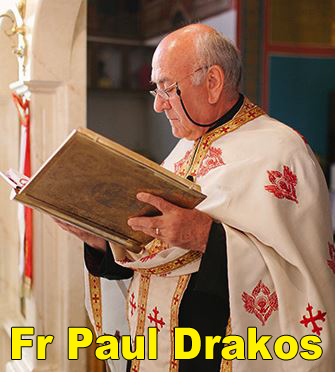 In 2002, he was named Archon of the Ecumenical Patriarchate. Costas Menegakis from this position due to his election in the Canadian Federal Parliament. Coordinating Council of Canada, a member since its foundation. John Dagonas was born in Mytilini, in 1948. He emigrated to Canada in June 1966, where he resides today. Civil Engineering and the Canadian Institute of Control Surveyors. 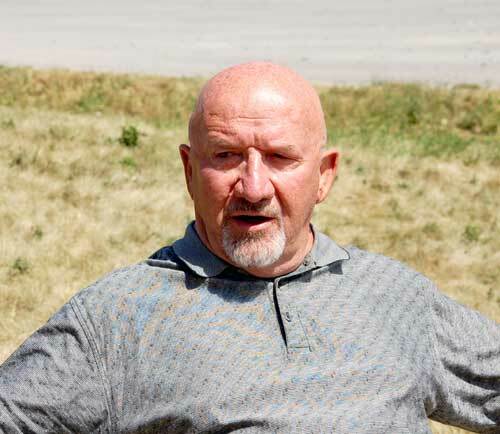 For more than 35 years he has been activating in the business area of building construction, beverage bottling, conference centers, receptions, and catering. according to a report of SAE Canada. He was, among others, President of the Greek Heritage Foundation, of the Hellenic-Canadian Federation of Ontario and of the Federation of Aegean islands, Director of Greek Congress, Greek Nursing, the National Bank of Greece, West Park Hospital and Socrates Schools in Mississauga. construction of a larger and more modern center for the hospitality of disabled people over 21- years-old. 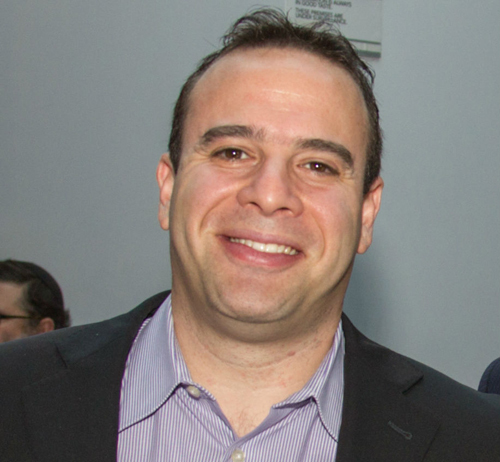 Recently, following an appeal by the Members and the Board of Directors of Toronto’s Greek Community, he also works for the Economic Sanitation Agency of the Institution. On behalf of the members and friends of the Trinidad and Tobago Association of Ontario, I would like to thank you for your contribution. 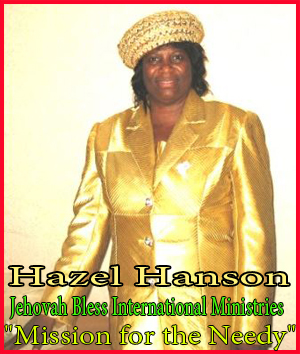 Jehovah Bless International Ministries Inc.
March 2, 2004, Jehovah Bless International Ministries is a registered charitable organization, which was divinely inspired by God in 1992. Dear Mr. Spyros Peter Goudas, Sincere greetings to you. The world of God declared "For the Needy shall not always be forgotten: the expectation of the poor shall not perish forever." JBIM is committed to making a difference in the lives of the neediest people in every race and culture by seeking to meet both the spiritual and physical needs. I would like to thank you for your generosity and contribution you have made to the Jehovah Bless International Ministries (JBIM) "Mission for the Needy". It is with pleasure, that I acknowledge your kindness to help those who are less fortunate. Once again, thank you for your kindness in serving the community and those less fortunate. May you and your family be blessed for your generosity. On behalf of the Schomberg Agricultural Society, we would like to take this opportunity to thank you for your generous donation of product, that helped make the Agricultural Spring Fair a success. The annual festival of the Sts. Constantine and Helen Greek Orthodox Church "Opa Greece '98" was a huge success. On behalf of the executive, we wish to extend our deepest gratitude for your generosity in supporting this most important effort of our community. 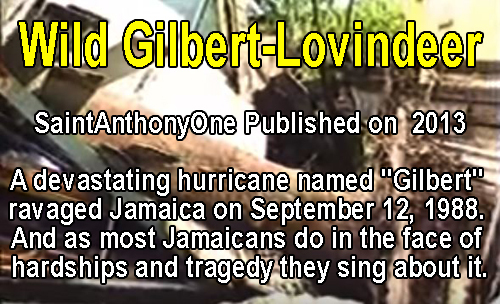 In acknowledgment of the spirit of generosity exhibited in the Hurricane Gilbert Jamaican Relief drive. 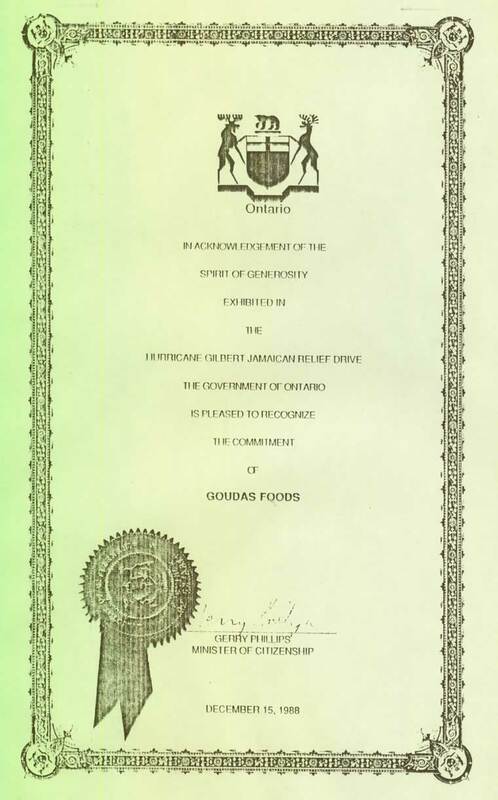 The Government of Ontario is pleased to recognize the commitment of Goudas Foods. 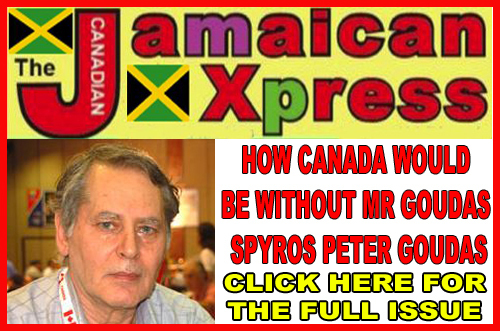 Dear Readers: Although Mr. Goudas up to 2018, Mr. Goudas has never visited the island of Jamaica that does not mean he does not have any connection or friends there or in Canada. TOOTS & THE MAYTALS - SWEET & DANDY. Mango Tree which portrays the Julie Mango as one of the best mango varieties in the world. In fact, in one of Spyros Peter Goudas books, the writer noted that Jamaicans love him and toast to his health and happiness. Therefore, the certificate above is only a part of his relationship with the island and although he has not traveled to the island, he has friends in every town and village on the island. Jah Man! On behalf of all the members of the Philoptochos Society "Evangelistria" and all the members of our Church, we would like to take this opportunity to thank you for your generosity of donated gifts and time that was recently made toward the Panagia Church. In closing, we again would like to extend our heartfelt gratitude to you and pray that the Panagia keep you under Her protection and that our Lord grants you every happiness and spiritual blessings from Heaven above. generous contribution to their annual KOULOUMA dinner, which was a great success. Thank you for your generous contribution to the fundraising banquet. The event has a huge success. Best wishes for the New Year from the Executive of Barbados House Canada Inc.
Saints Constantine and Helen Greek Orthodox Church has recently undergone a major renovation and expansion of the facilities. The beautification of our Church can only be completed with the continued generosity of our Community. personally Mr. Goudas for your support. I write regarding "Ochonma '95", the recent Fashion and Designer Trade Show held on March 11, 1995, at the Oriole Community Recreation Centre in North York. The event was successful in many ways because of sponsorship by companies such as yours. Your actual presence was of great encouragement. By attending you exhibited to us your sincere interest and commitment to our community development efforts to showcase the work of racial minority designers. I would like to say a big thank you for your company's very generous in-kind donation. On behalf of St. Francis Xavier Catholic School, we would like to thank you for your generous donation of canned foods and tropical soft drinks. Again, thank you for your co-operation. On behalf of the members of the Metropolis Philoptochos Board, I would like to take this opportunity to sincerely thank you for your generous contribution to our Philoptochos. It is your support that enables Philoptochos to keep its doors open and provide the appropriate support to those that are in need. Once again, we are grateful for your generosity. Greetings to you in the precious name of our Lord and Savior Jesus Christ, Amen. Thank you for donating food products for distribution to our large congregation on this joyous occasion of our Pastor's appreciation. As a body, we have seen the sacrifices, the contributions and the numerous hours which Rev. 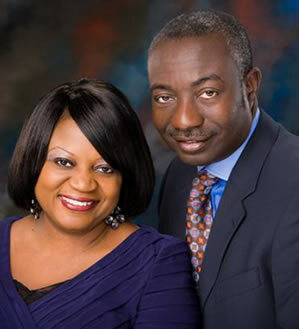 Dr. Samuel Donkor has invested in our community. As such, we have set aside the weekend of June 10 and 11 to honor and express our appreciation to him. By this donation you have, indeed, echoed our sentiments to our great leader. We are most thankful to you for this humane gesture. 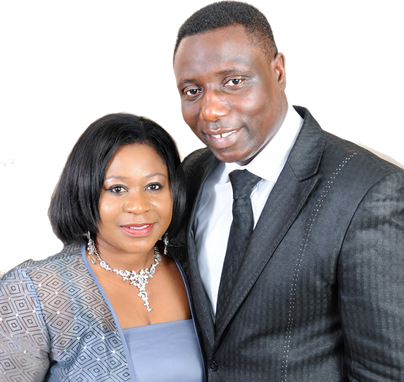 We pray for God's favor on your life and on your business ventures. Thank you for the generous donation of fine food products from your company. When the two van loads arrived, filled with all those wonderful products, we were thrilled. Your contribution to this years Christmas Drive was easily the most significant one received. Thanks to the valued support of individuals like yourself. We do appreciate your gift and hope that you will continue to be a corporate supporter of the Touchstone Youth Centre. I would like to take this opportunity to again thank you and Goudas Foods' for its generosity in supporting the festivities of the Afro-Canadian Caribbean Association of Hamilton and District. This event was highly successful and we owe a great deal of gratitude for the Grace Foods' contribution. Caribbean/Black community for the Greater Hamilton area. Our Keynote Speaker this year was the Consulate- General of Trinidad and Tobago, Ms. Vernetta Calvin-Smith. We would be very grateful if Goudas Foods' could again contribute food and/or beverage products to assist us in delivering this event. We are hoping to have continued support to this event from various food manufacturers, stores and Caribbean Consulates and embassies. I would like to take this opportunity to thank you for your generous donation of goods to our Hellenic Home tenants. At the Hellenic Home, residents receive the care they need to continue living to their fullest potential. It means more independence, a wider range of activities and much-improved qualities of life, which are all provided for in a safe and familiar cultural surrounding. Through direct care and a wide range of programs, Hellenic Home improves the lives of people who are facing significant physical and psychosocial challenges. In supporting the Hellenic Home, you are assisting us to better serve our aging population with a state of the art new building that will greatly enhance and aid in the delivery of quality care and service to our residents. Thank you, once again, for your consideration and benevolence in supporting our cause. 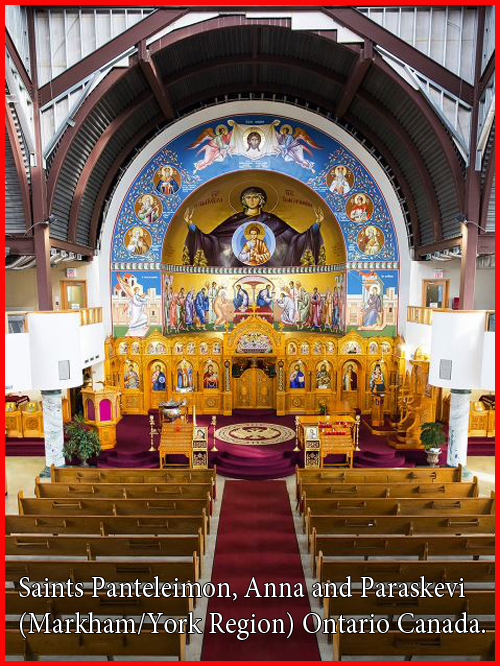 On behalf of the "Panagia" Philoptochos Society of the Annunciation of the Virgin Mary Greek Orthodox Cathedral of Toronto, we would like to thank you for your kind and generous donations to our Church over the past year. Your donations of food and supplies have helped our Philanthropic Society and our Church to achieves its goals, by supporting our efforts to assist those in need, to meet the various Church expenses, and above all, in making it possible to spread the Word and the truth that is in our Lord and Saviour Jesus Christ. We pray that our Lord always blesses you and your family with abundant blessings from above, keeping and preserving you and yours with health, happiness, prosperity, and spiritual growth, through the prayers and intercessions of the Virgin Mary. Once again, thank you for your support and generosity. for your very generous contribution to our 21st-anniversary celebration. provide financial assistance to members of the community wherever possible. In the past, your generous donations of food items have been most valuable. your donation. Your contribution was very much appreciated. Diagnostic Classroom at the Hospital for Sick Children. I wish you good health and best of luck in your future endeavors. We take this opportunity to thank you for your participation in our annual Christmas Family Dinner. You will be happy to know that with your contribution we served 5,114 persons and made a lot of families and children happy during this season. given to honor you and your company for your assistance. Yours very truly, Q-ssis Christmas Family Dinner Inc.
On behalf the congregations of St. Michael the Archangel Anglican Church I am writing to that you for your generous donation. Your gift made our evening very successful. The funds that the parish raises helps us to meet our commitments to our community such as our outreach projects: Sheffield Park Black Museum in Collingwood and the parish church and school at Monkey River in Belize. Once again as a corporate neighbor and friend I thank you for your contribution in support of our parish. You are to be so very highly commended. I hope "The New Canadian Entrepreneur of the Year Award '93"
continues to generate new business for you. Peter, the people in our complex have greatly appreciated your donation of food that we picked up February 13th. On their behalf, Thank you Very, Very Much. 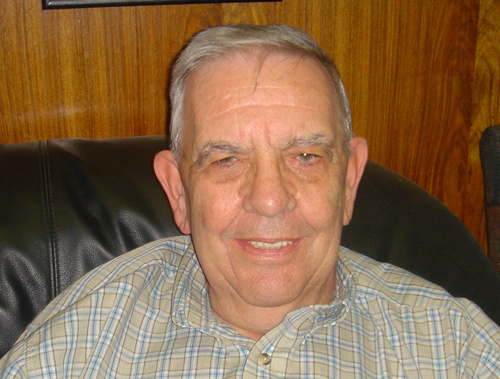 Yours truly, Fred Poyhonen, V.P. In appreciation of your outstanding contribution and dedication to the development of the Arts, Culture, and Education of the Republic of Trinidad and Tobago in Canada. Mr. Cyril Blanchfield Council General for Trinidad and Tobago. From left to right: Pandita Indrani Rampersad, Dr. Rambai Espinet, Dr. Patrick Taylor (York U) and Mr. Cyril Blanchfield, Consul General of the Republic of Trinidad and Tobago. This is a very significant award since it reflects Spyros Peter Goudas' contribution to cultural events within the Caribbean Culture and his ongoing support for the Caribana Festival. The event was a double celebration. It was also Spyros Peter Goudas' 60th birthday. 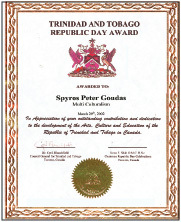 On the top left photo, you may view Mr. Kenn F. Shah who is standing and shaking hands with Mr. Peter Spyros Goudas while making a presentation of the Trinidad and Tobago Public Day Award. Unfortunately, Mr. Kenn F. Shah passed away shortly after on May 4, 2002. Within this link, you will see the story of an interview with him in 1989 up to the time of his passing. Mr. Goudas also took time at Kenn F. Shah's wake to share his feelings and opinions about this Great man. The Board of Directors of the National Council of Jamaicans and Supportive Organizations in Canada, Inc.
We would like to thank you for your generous support to our convention reception which will be held on the Jamaican Canadian Centre, on Friday, May 20th. Public recognition will be given to you and your company/organization for your contribution of food/refreshments. We would like to take this opportunity to wish you continued success in all your personal and business endeavors. We wish to express our sincere thanks for your donation of food items to our Annual Convention held August 10 - 13. With your assistance, we were able to provide adequately for everyone in attendance. Again, thank you very much, and may God bless you richly. Thank you for your generous donation of canned foods to be used towards our monthly food bank. We have approximately 130 families each month at our food bank. Your donation will help us a great deal. May God Bless you give you peace and prosperity for the coming year. On behalf of the Governing Body of the Pan-Epirotic New Year's Eve Celebration, we would like to thank you for your contribution. Your generosity was an important factor in the success of this event. We wish that 1999 will be a prosperous year for you and your organization. I am very pleased to send you this letter with our Thanks for your recent donation to our organization. I pray that our Lord may bless you and bestow to you abundantly every material and spiritual gift. On behalf of the Jamaican Canadian Association please accept my sincere thanks for the donation you made to our Black History Event Day. and we also encouraged the audience to support your business. members can be informed of your generosity. Once again the JCA thanks you very much for your donation. 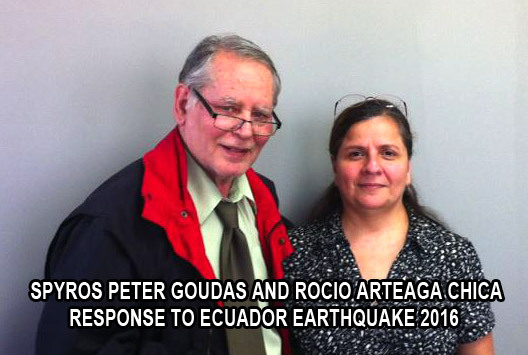 We would like to extend a special thank you to Goudas Foods for their contribution to our Relief Effort. Thank you for making a World of Difference. The Antartikon Hellenic Benefit Association proudly acknowledges and sincerely thanks Mr. Spyros Goudas, owner of Goudas Food Products Ltd. for your generous contributions and continued support to our association. We wish to acknowledge your generosity during the past year. We most certainly appreciate your donation of this product on behalf of those in need who turn to food banks for help. Currently, 160,000 men, women and children receive charitable food each month in the Greater Toronto Area. Sadly, 37% of them are children. We try to remedy the continuing need. landfill sites thus looking after the environment. Thank you for confirming your support toward our reception, which will be held at the Jamaican Canadian Centre. Your contribution will not go unrecognized and will receive public recognition. The National Council of Jamaicans and Supportive Organizations in Canada Inc (NCJSOC) has received $479,900.00 from the Department of Canadian Heritage for its Youth Development and Organizational Capacity Project. Secretary of State for Multiculturalism and Status of Women Jean Augustine, made the announcement at the Etobicoke City Hall Monday, December 8th, 2003, when she released the Ethnic Diversity Survey, a project developed by Statistics Canada in partnership with the Department of Canadian Heritage. "Everyone of these projects is designed to strengthen relationships, increase knowledge, and ensure that no one is marginalized in our Society," Madame Augustine said. The NCJSOC project will begin January 1, 2004, and run to March 31st, 2007. NCJSOC President Olive Steele said this project will assist the Organizations' program of Civic Participation and Leadership in moving forward. Under the project, a "train the trainer" workshop, involving youths and Vice Presidents from across Canada will be held in May 2004. The Project will then offer Eleven (11) youth Workshops in Vancouver, Edmonton, Calgary, Regina, Winnipeg, Kitchener, Mississauga, Toronto, Oshawa, Montreal, and Halifax. To coincide with Black History Month, February 2006, a National Conference on Youth Development and Organizational Capacity, is scheduled for Toronto. "It is hoped that this Project will create a ripple effect throughout the Black and Caribbean communities, as youth take their knowledge and experience from the project to their peers and to other communities," Steele said. The NCJSOC with headquarters in Ottawa was formed in 1987. One of its mandates is to unite Jamaican-Canadians across the country. It lobbies at the Federal level on behalf of its membership. I am taking this opportunity to thank you once again for the donation of the Donald Willard Moore Scholarship Fund, which provides a scholarship each year to a black or Caribbean student entering the second year of a business course at George Brown College. We are very grateful for your past support and we do hope that you can help us again next year. So far four scholarships have been awarded and we hope to award another one this year. Moore was the recipient of a number of awards for his significant contributions to the West Indian community and to Canadian society, including the City of Toronto Award of Merit (1982), the Ontario Bicentennial Medal (1984), the Harry Jerome Award of Merit (1984), the Barbados Service Medal (1986), the Ontario Ministry of Citizenship award (1987), the Order of Ontario (1988), and the Order of Canada (1990). In August 1994, Donald Moore died in his sleep at the age of 102. THANK-YOU FOR YOUR GENEROUS SUPPORT OF OUR STREET FESTIVAL. WITH MANY THANKS FROM THE STUDENTS AND STAFF! THE FUNDRAISING WAS A SUCCESS BY SENDING MANY STUDENTS WHO NORMALLY WOULD NOT ABLE TO ATTEND. On behalf of the members of our society, we would like to thank you very much for the general support OVER THE YEARS. Your contribution of the food products helps many poor people in our area. On behalf of the members and Board of the Afro - Caribbean Canadian Association of Hamilton In., I offer our most sincere appreciation and gratitude, for all your help, in making "Caribbean Night 2002" held October 27, a successful one. We had approximately 250 people, and all appeared to have had a good time. The food, music, and entertainment were equally enjoyable. We could not have done it without your help. 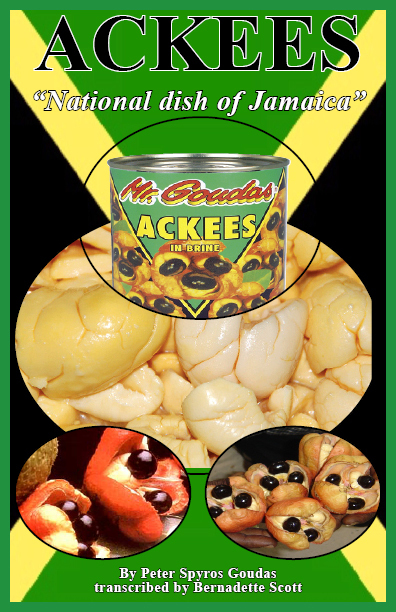 On behalf of the members of our society, we would like to thank you for the continuous contribution of food products. This helps us to support the underprivileged of our society. On behalf of our association, we would like to take this opportunity to thank you once again for your generous support. On behalf of the Philanthropic Association "Evangelistria," we express our gratitude and appreciation for your generous donation, which shows your support to the community and your understanding of our work. We would like to thank you for your generous support of our Community. Fr. Peter Mentis is a native of Toronto, being raised in Don Mills. In 1988, Fr. Peter married his wonderful wife, Presbytera Melanie. They have two beautiful children, Nicholas and Alexandra. Fr. Peter was ordained to the Holy Priesthood in 1990. 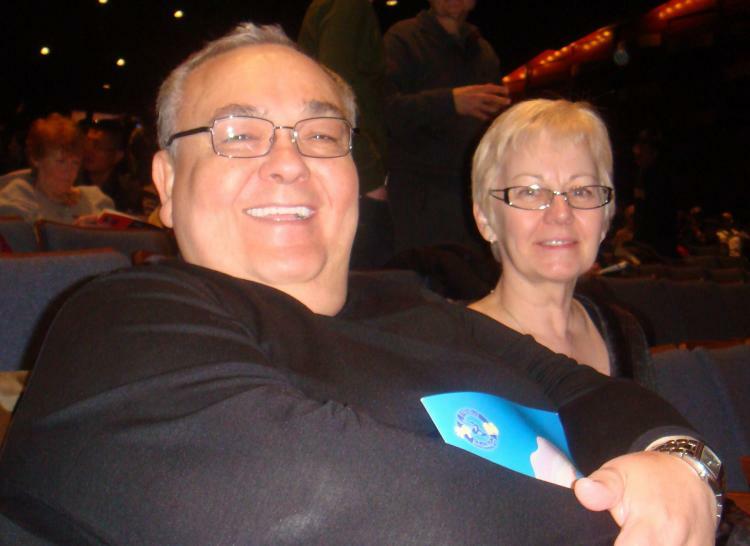 He served at St. George’s Greek Orthodox Church in Toronto until December 1991. 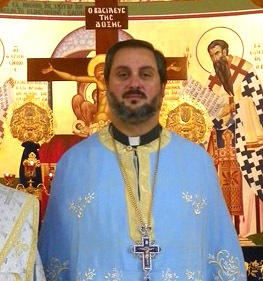 Since then he has been the Priest at Prophet Elias’ Greek Orthodox Church. His main areas of ministry have been community growth, administration, youth, and Church construction. He is Director of the Department of Religious Education of the Holy Metropolis of Toronto (Canada), as well as Professor of both, Ethics, and Administration and Growth, at the Toronto Orthodox Theological Academy. I would like to thank you again for your donation in support of our recent fundraising in aid of Sickle Cell. Thanking you for your usual co-operation and we look forward to your continued patronage. 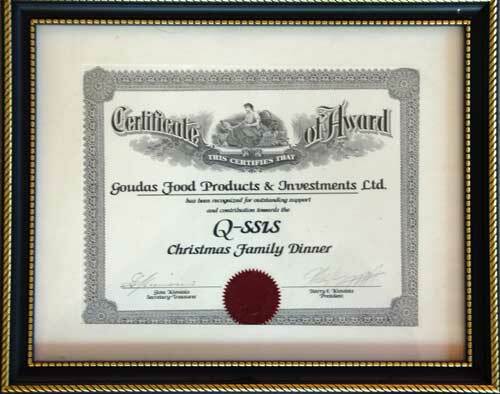 We would like to thank you so very much for all the times that Goudas Foods has helped us over the years. We wish to take this occasion to express our gratitude for the wonderful donation that we have received from your company throughout the years. Your charity is a tremendous encouragement to us in our work with the poor. loved ones a shower of benedictions multiplied a hundredfold in this life and in the next. The funds we raised will be contributing to the construction of the orphanage soon. We could not have done this without your donation. In the photo is Mr. Nikos Kladitis (left), Mrs. Celia Aphantitis and Spyros Peter Goudas (right). Celia Aphantitis, the 2008 YMCA Peace Medallion recipient, accepts her award at the Malvern Public Library on Tuesday. The YMCA Peace Medallion is awarded each year to volunteers working to find peaceful solutions to violence, conflict, discrimination, and injustice. On behalf of the Trinidad and Tobago/Canada Assistance Fund Committee (T&T CAN), the staff of the Trinidad and Tobago Consulate and on my own behalf. I wish to convey our sincere appreciation and gratitude for your kindness and the generosity you demonstrated. As in the past years, we greatly appreciate the donation of food products to assist us in carrying out the above-mentioned worthwhile endeavor. Just a reminder that the Armenian Community Centre and its members continue to be loyal supporters of "Mr. Goudas" products over the years. have closed their doors because their building is being demolished. However, we would like to thank you for providing food and beverage donations to us since the early 1970's. You have done so much for us and our mission, we are assured that God will continue to bless you. This is a short thank you from all of us. We would like to thank you for the donation of food products that you made to our monastery. May God bless your life and your mission. On behalf of our association, we would like to express sincere thanks for your donation of food products to support raising funds in aid of Sickle Cell Anemia. continued support in this and other worthy causes, and look forward to a lasting relationship. The food products you donated to our group was very well received. We were able to amply distribute the items to our seniors. Needless to say, they were very happy to receive them. Thank you for your contribution and may God continue to bless and keep you healthy. On behalf of the Executive and the members of the Society of Epirus, we would like to thank you and your company for sponsoring again this year three students awards. Your generous donation and continued support for our students and our society is greatly appreciated and we wish you and your company success for the future. As you know, the awards night on February 24, 2007, was a smashing success and was only due to your involvement and others such as yourself who want our students and society to prosper. 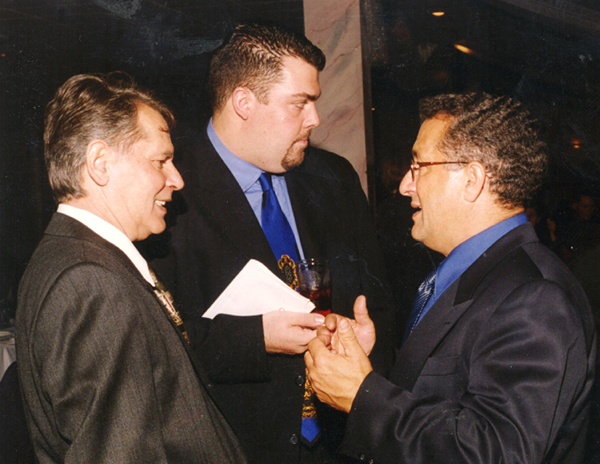 In the photo is Spyros Peter Goudas (left), speaks with Mr. Paul Nitsotolis (right). In the middle is Christos Lanis, President of The Pan Epirotikis Society. Below are some video clips reflecting different years ceremonies. Thank you so much for your generous gifts of Easter foods. You provided for marvelous celebrations which many of our friends enjoyed with us. We were also able to share some of the food with families in need. We pray the Risen Lord will bless you deeply and fill your great heart with His peace. We keep you in our daily prayers. Sincerely, Judi and all here. Staff workers of the Madonna House Apostolate live in voluntary poverty. Donations of clothing, food, goods, and money come from a variety of sources enabling them to live out their promise of poverty and better identify with the poor whom they serve. As a celibate community, the men, women, and priests live in separate dormitories and generally work in separate departments, but gather together for all daily meals and religious services. The main work of the Madonna House Apostolate is serving the poor — both the physically and spiritually poor. Donations sent to the community are redistributed locally and internationally. Through their missionary field houses, Madonna House staff workers serve the needs of the poor in many ways, from "prayer and listening houses" to soup kitchens. Carassauga 2007 was a huge success. There were over 20,000 people who visited our pavilion, (our best turn out yet) and our pavilion was rated one of the best three pavilions of the year. Carassauga 2007 was a success because of your generosity! We would like to thank you for your help, and we are looking forward to having your support next year. Once again on behalf of the Cypriot Community of Mississauga and District, thank-you for your support. Ten years ago, Mr. Goudas Food Products was just a local food product name that I would often see grocery shopping with my wife. Since working in the door and dock leveler business, I have had the opportunity to meet and work with Mr. Goudas himself. It became my pleasure not only to meet the man behind the name but also to establish a working relationship with him in the last 10 years. Mr. Goudas is a kind, caring, and good-hearted individual. He is an accomplished businessman that appreciates his employees. As a Canadian Immigrant myself, I understand the hardship, frustration, and difficulty that one faces coming to a new country. Although Mr. Goudas may have encountered many obstacles along the way, he has accomplished his dream, having his own line of food products sold in supermarkets across the country. 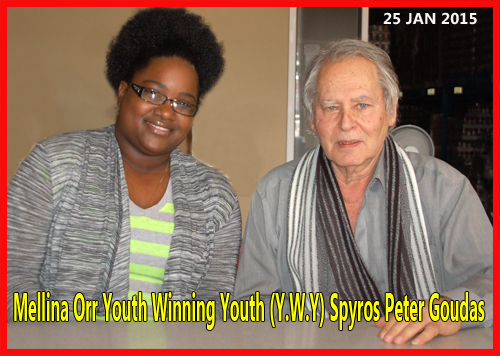 Spyros Peter Goudas should be proud of his achievements and the idea that he will leave a legacy in his name that he may pass on to his son Panos. Panos and his father work side by side and I am sure that Mr. Goudas will pass on to his son the same values and caring quality that I have seen over the years. Mr. Goudas has donated food to charities like St. Vincent DePaul and cares about his community. I wish Peter and his family the best of luck for 2006 and the years to come. I know he will continue to supply us with good products and continue to help those in need. God bless you for your good work. On behalf of the Executive and Members of our association, we would like to thank you for your generous donation of food supplies. There are special people like you helping us to meet our charitable obligations. We wish you good health and success in your business as you continue to make a difference in our community. 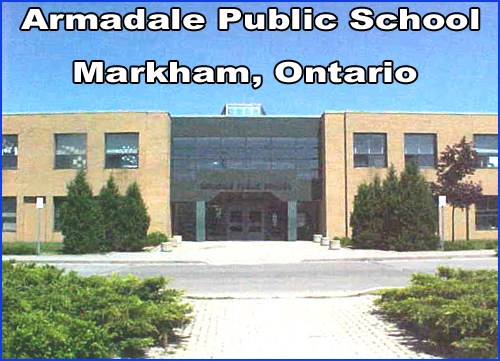 The Barbados St. Michael Alumni (Toronto) Inc. was founded on November 29, 1981. The organization consists of graduates of the St. Michael School, Barbados. The Alumni was established to maintain strong relationships among students, past and present, foster community activities, and perform charitable work both in Canada and Barbados. On October 15, 2011, the Alumni celebrated its thirtieth anniversary. This was a genuinely significant accomplishment. It marks a major stage and is an achievement of which every member should be proud. sincere gratitude to you and Goudas Foods for your generous donation of food items. Thank you and may God's richest blessings be with you, Goudas Foods Ltd., your staff, relatives and friends always. On behalf of our Society, we would like to thank you for your kind and generous donations over the past year. Your donations have helped our Society to achieve our goals by supporting our efforts to assist those in need. One again we thank you for your support and generosity. We hope to finish the construction of the Shelter in Piura, Peru very soon. All of your efforts were very much appreciated. Thank you for your donation to the cause. Celia Vasiliki Aphantitis founded Mission Piura, a non-profit organization that delivers clothing, shoes, linens and other necessities to people in some of the poorest areas of Cuba and Peru. She started the mission after witnessing how little some people have, and how happy they become once given even the smallest gifts. 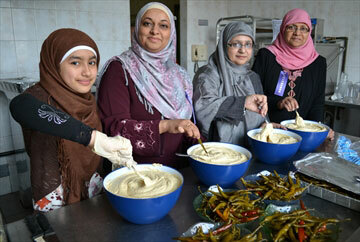 Each year, Celia and a few other women organize a luncheon in the GTA to raise funds to help build the programs. Celia Vasiliki Aphantitis has been a member of the Scarborough YMCA for over ten years. As a frequent visitor of the YMCA, she came up with the idea of taking unclaimed lost and found items from the YMCA to distribute in Peru and Cuba. Celia says she cannot over-emphasize the joy and happiness she witnesses when giving people items she received from the YMCA. Celia works tirelessly as a global citizen to promote peace both at home and abroad. Christ is Risen! Truly He is Risen. Alleleuia! Alleleuia! Alleleuia! Mr.Goudas The kitchen crew were overwhelmed to receive all the tinned goods. It is a great help to us as it is something we would buy for our members who are on special diets and for the sick. May the Lord fill you with His many graces during the Easter season. We are experiencing a new life at the farm as many new lambs are being born. Know that each of you and your loved ones is remembered in our daily prayers. Peace in the Risen Lord. Mr. Spyros Peter Goudas Thank you so very much for your great generosity towards us. Doreen for all at Madonna House. On behalf of the Philanthropic Brotherhood of our society, and all our members, we would like to express our warmest. Thank You for the generous donation which has proven the love and the knowledge of the amount of work we provide to our members. We hope our Almighty God continue to bless you. We pray for you that the most blessed Mother of God, Mary, keep you under her protection. The Annunciation of the Virgin Mary Greek Orthodox Cathedral, known popularly by its Greek name of “Panagia”, was opened in 1961. It celebrates the two major Feast Days in honor of the Virgin Mary as its Patronal Feastdays: the Annunciation of the Virgin Mary (Evangelismos) on March 25th, together with Greek Independence Day; and the Dormition of the Virgin Mary (Koimisis) on August 15th. 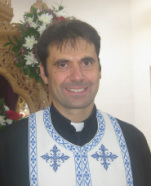 The current Parish Priest of Panagia is Father Peter Avgeropoulos, who has served the Cathedral since the 1st of September 1996. Fr. 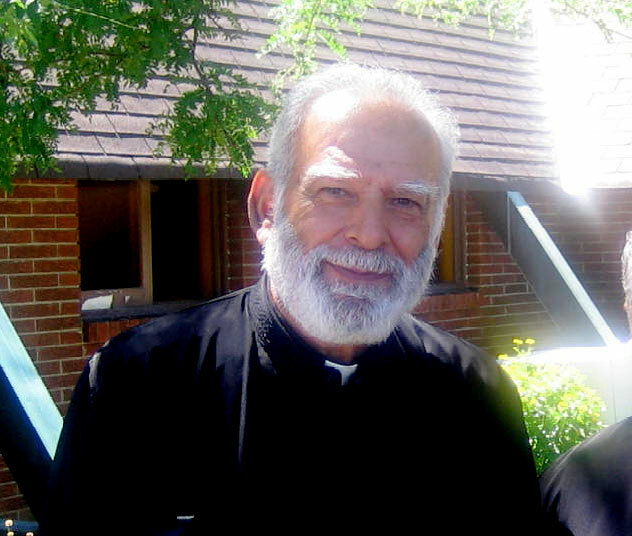 Peter has the distinction of being the first Canadian-born Greek Orthodox Priest now serving in the Greek Orthodox Church of Canada. He is also a Professor of Patristics at the Toronto Orthodox Theological Academy, as well as the Director of Interchurch Relations for the Greek Orthodox Metropolis of Canada. you do to make the lives of others better. Our Tutorial Program is beginning to take off, our current students are telling friends and family, and the people are coming despite the fact that we have not had the time to print and distribute flyers as yes. The Lord has been good to us. Much appreciation, love, and Blessings to You. 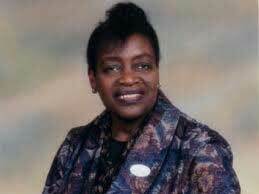 Sincerely, Pastor Maria A. Lawrence R.N., B.R.E., M.Div.(cand). On behalf of our Board Directors, I would like to thank Mr. Spyros Peter Goudas for your contribution to the Canadian Turkish Friendship Community. Your very generous support will directly benefit our students, and your generosity will help to ensure the Canadian Turkish Friendship Community continues to educate every participant student who wants higher and better education. We value your involvement and appreciate and hope that you will visit our facility in the future to see how we are preparing today's kids to become tomorrow's worthy citizens. Canadian Turkish Friendship Community is a Non-Profit and Charitable Organization established in 2004 by a group of Canadian-Turkish residents province of Ontario. Canadian Turkish Friendship Community's primary goal is to support students those who in need, to promote cultural activities and educational seminars open to the public. Thank you so much for your recent donation of canned and other goods which Dr. Joe McKenna delivered to us. What a flourish, generous gift! We are blessed by your kindness and thoughtfulness in your care of us. The enclosed letter will give you an overview of our life this past year. Born in County Kildare, Ireland, 1937. 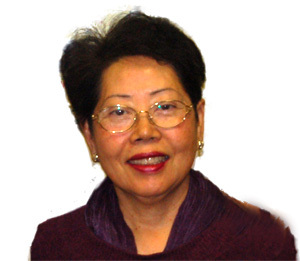 Immigrated to Edmonton, Alberta, Canada in 1957. Worked in uranium mines in UraniumCity during summer holidays to pay for tuition at medical school. 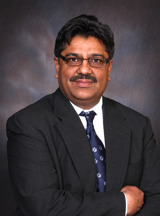 Attended medical school, University of Alberta, Edmonton. Graduated in 1963. Internship and surgical training at St. Michael’s Hospital, Toronto, Ontario. Chief Surgical Resident 1969 at St. Michael’s Hospital. Fellowship in Surgery in December 1969. Surgical Practice, York Finch Hospital from 1970 to 1995. Surgical Practice, Tennessee, 1995 to 2000. Shouldice Hospital, Toronto, Ontario, 2000 to 2005. Surgical Proctology at Rudd Clinic, Toronto, Ontario, 2005 to present. Married in 1964, 4 children, 8 grandchildren. Interests: Secular Interests: Tennis, golf, skiing. 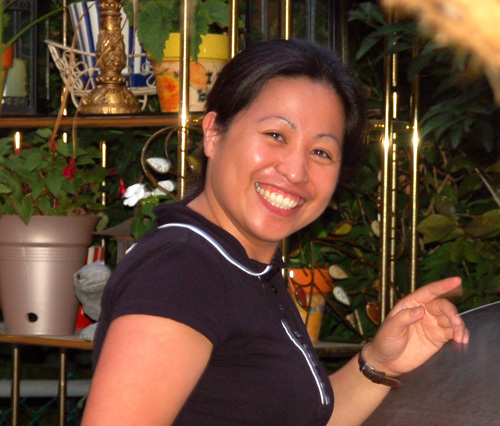 Spiritual: Committed Catholic Christian and grateful friend of Madonna House Apostolate to the Poor. Madonna House is a famous Apostolate to the poor founded by Baroness de Hueck Doherty in 1947. 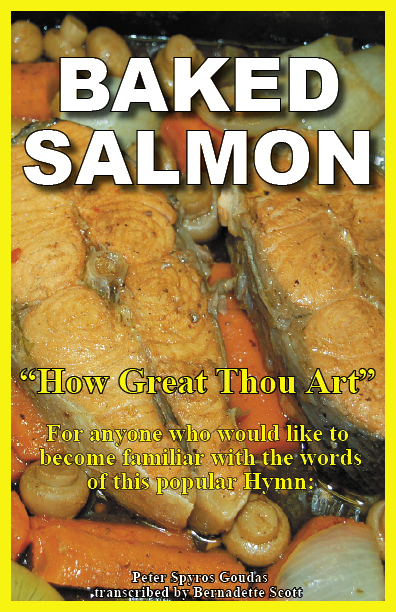 Miracles Still Do Happen, which is an inspirational book due to the fact that he performed surgery on Mr. Goudas’ back in a time of need, and in the Baked Salmon book, which is an inspirational book that narrates the events that led to the creation of this wonderful recipe. thanks for the support and donation and your understanding of our mission. We pray that the God above will pay you back. Also, we pray to Maria mother of God to keep you always under her protection. I would like to express our sincere gratitude to Goudas Foods for your generous donation of food items. Thank you and may God's richest blessings be with you, Goudas Foods Ltd., your Staff, Relatives, and Friends always. Fr. Daniel Mentesana will soon go to New York to take on his new assignment as provincial of the Province of the Immaculate Conception. We are certain that the community of St. Augustine and the many friends he made outside the parish will greatly miss him, but at the same time, they wish him good health, peace, and God's blessing. Thank you for everything Fr. Daniel! 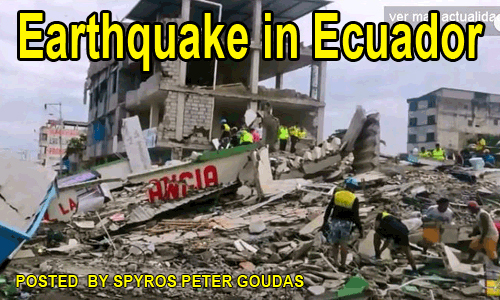 Mr. Spyros Peter Goudas and the entire Goudas Foods Organization wishes to convey to you, and the people of Haiti, our condolences for the great loss of life, destruction, and devastation caused by the recent earthquake. Additionally, we extend our deepest and sincerest concern for the survivors of this tragedy. Your Excellency, we witnessed your pain as you tried to convey the news of the tragedy at a press conference. How difficult it must have been for you, as Head of State and Representative of the Queen here in Canada, to try to compose yourself and represent your position, knowing that such a horrific disaster has occurred in your place of birth, your homeland. Maybe you are familiar with the Mr. Goudas line of products…. Goudas Rice is Very Nice …, flour, cornmeal, sugar, beans, fruits, etc. for all nationalities. Mr. Goudas has demonstrated in his 40+ years in the food business, that he is a strong supporter of worthy causes, as exhibited on our website, www.goudasfoods.com, Letters of Appreciation Section. Additionally, when major disasters occur, Mr. Goudas willingly enlists the assistance of his whole organization and steps in offering major food donations. 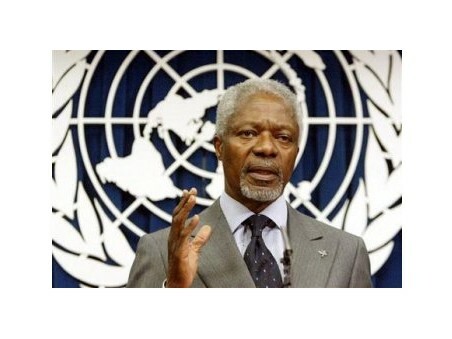 When tragedy struck Iraq prior to the war, we wrote to Kofi Anan offering our assistance. When the Tsunami occurred in Sri Lanka, we were among the first to support the food needs of the survivors. When Hurricane Gilbert struck Jamaica, we offered our assistance. When tragedy struck Grenada, again we offered our assistance. Currently, we support the Feed Piura, Peru project and donate to the yearly fundraiser that occurs here in Toronto. Your Excellency, on behalf of my organization, I am offering you our assistance with respect to the food needs of the people of Haiti. I would be thrilled at the opportunity to speak to you regarding this matter. May our Lord give hope and grace to the survivors. A delegation of young people from Planeterra (associated with Gap Adventures), arrived at our facilities to pick up a truckload of donated food items. The items will be on a cargo flight to Haiti to assist in the distribution of food directly to the people. Mr. Goudas felt that due to the lack of facilities (heat, fire, and water) that it was more appropriate to send ready-to-eat foods in easy-pull cans. Consequently, an assorted variety of these products were loaded into the truck. We found some of the most shocking images of the Haiti earthquake. All my prayers go to the families that lost their loved ones. As we all know on a day to day basis Mr. Peter Spyros Goudas has a million and one things to deal with. This fact is documented in his book: Miracles Still Do Happen, where he expands on his focus and determination. there are numerous, Thank You, letters and hundreds that have not been posted. Obviously, when disaster strikes somewhere around the world, and as the song from the famous film, Ghostbusters, declares: Who do they call? In this scenario, Mr. Goudas, of course! 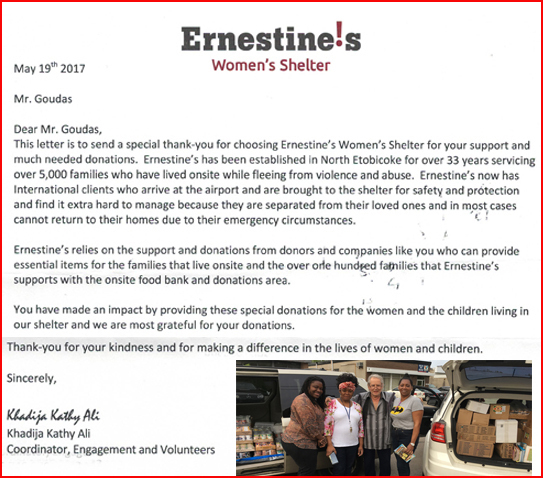 Earlier this year, when the devastation occurred in Haiti, without hesitation, Mr. Goudas offered its assistance and made a generous donation. Unfortunately, disastrous flooding has descended upon Pakistan. Words can never describe the overwhelming feelings experienced when we witness such occurrences and the tragedy that ensues. It was no surprise when Mr. Shayan Rashid, a representative from Project Ramadan, Iftaar food baskets for those in need), and the Muslim Welfare Centre, under the direction of Mr. S. Qaiser Naqvi, responsible for this project, approached Mr. Goudas for a donation to the relief effort in Pakistan. The floods in Pakistan have submerged tens of thousands of villages, killed around 1,500 people and affected 20 (m) million others. Of course, philanthropy is a specialty of Mr. Spyros Peter Goudas. A donation of non-perishable food items to help in the relief efforts after the disastrous flooding is quite appropriate and Spyros Peter Goudas did not hesitate to help generously this worthy cause. Click on the photo to view the effects of the disaster. The 2010 Pakistan floods began in July 2010 following heavy monsoon rains in the Khyber Pakhtunkhwa, Sindh, Punjab, and Balochistan regions of Pakistan. Present estimates indicate that over two thousand people have died and over a million homes have been destroyed since the flooding began. The United Nations estimates that more than twenty million people are injured or homeless as a result of the flooding, exceeding the combined total of individuals affected by the 2004 Indian Ocean tsunami, the 2005 Kashmir earthquake, and the 2010 Haiti earthquake. However, the death count in each of those three disasters was significantly higher than the number of people killed so far in the floods. At one point, approximately one-fifth of Pakistan's total land area was underwater due to the flooding. UN Secretary-general Ban Ki-Moon has asked for an initial $460 million for emergency relief, noting that the flood was the worst disaster he had ever seen. 50% of the relief funds requested has been received as of 15 August 2010. The U.N. is concerned that aid is not arriving fast enough, while the World Health Organization reported that ten million people were forced to drink unsafe water. The Pakistani economy has been harmed by extensive damage to infrastructure and crops. Structural damages are estimated to exceed 4 billion USD, and wheat crop damages are estimated to be over 500 million USD. Officials estimate the total economic impact to be as much as 43 billion USD. In Pakistan, the death toll from the worst flooding the country's seen in over eighty years has reached more than 1100. Officials say that figure could rise as there are areas rescue workers have not yet been able to reach. Flooded roads and damaged bridges are hampering rescue efforts. Some 27,000 are still stranded in remote villages. In addition to the above organization, an individual named, Habib Ramzan, of the Kingsway Real Estate Brokerage, came into our office and purchased a large number of products as his personal contribution to the Pakistan Relief Effort. Mr. Goudas met Mr. Habib Ramzan and promptly, without hesitation, donated a further amount of products to assist Mr. Habib Razman with his contribution to this disaster relief. This is a wonderful act of generosity on Mr. Habib Ramzans part. Mr. Goudas commend him for this gesture and it is good to know that there are such people in the community. With this letter, we would like to express our sincerest gratitude and thanks for your generous contribution to our school needs over the years. We would also like to thank Pat and Panos for their continued and past support of our community. Panos was a student at our school and he will always remain a part of our school family. Your contributions to the community and to our school programs are unforgettable. People like you set an example for us and our students to follow. You are a great role model and truly an inspiration for our students and our school. A few words for Mr. Michael Vatsoulis (Batsoulis) during an interview in 1987 from the Avra National Television Show. Mr. Michael Vatsoulis was the principal of the West Toronto Greek School, who had more than 570 students and responsible for 27 teachers. Mr. Michael Vatsoulis is an honorable member of the community and he is well known for his efforts and dedication to the mission. In the videos below you can see the interview in Greek, Part 1 and Part 2. In May of 2010, Miss Anastasia Papadopoulou in Grade 8, of our school named "Proodos" "Πρόοδος" has written a poem and framed it so that, I may present it to you. The writing is in Greek, and we apologize that it can not be properly translated into English as a poem, but we will try as best as we can. On behalf of our Society, we would like to thank you for your kind and generous donations over the past years. We hope that our Great Lord will reward you back spiritually and grant you prosperity. We pray that Mary, the Virgin Mother of God to keep you under her protection. Thank you very much for your continued support of our Mount Zion Food Bank! We are most grateful and humbled by your ongoing generous donation/contribution to our food bank. It is through the kindness and generosity of people like you that we are able to meet the demands of our clients in the community. Our number of clients are ever growing month after month. At this time of the year, we would like to appeal to our donors to our Community Services program, to give generously that we may continue to bring joy and cheer to the less fortunate especially in the coming holiday season. 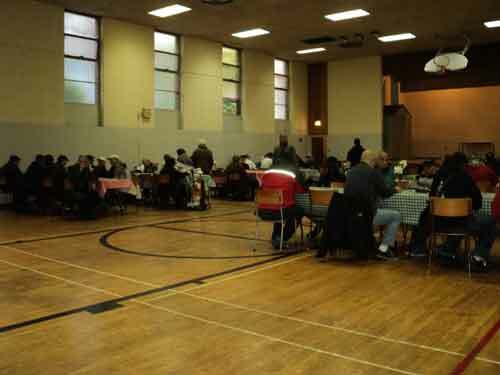 As you know, we also serve a sit-down meal at the St. Luke's United Church on Sherbourne and Carlton every other month as part of the "Out of the Cold" program. Again, on behalf of the Mount Zion Food Bank, thank you very much. Wishing you and yours the best of health and continued success in all your business endeavors. On behalf of St. Nicholas Community of Toronto, we would like to take the opportunity to thank you for your generous contributions. Because of your support, we were able to help many families in our community. Please accept our sincere appreciation and we look forward to your continued support. I want to express my appreciation for your generosity and support. Your assistance meant so much to us and even more to our efforts to help the children of South Africa. On behalf of the philanthropy society, we would like to thank you for your kind and generous donations to our association over the past year. Your donation of food products and supplies have helped our philanthropic society to achieve its goals by supporting our efforts to assist those in need. yours with health, happiness, prosperity and spiritual growth through the prayers and intercessions of the Virgin Mary. 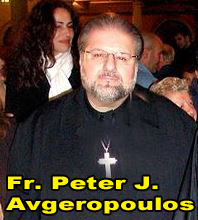 Father Peter Averopoulos, Parish Priest. As an expression of our gratitude for your generous contributions to our Food Bank. Mr. Goudas was asked to make a speech. However, he was not prepared. In fact, the event was a surprise to him. He was unaware that the occasion would be held in an auditorium with over a thousand people in attendance! In his impromptu acceptance speech, Mr. Goudas recalled the day he visited the organization a few years back. Upon entering the Food Bank, the intake worker thought he was there as a client in need of their services and proceeded to do an intake and provide him with an assortment of food. Finally, when he disclosed who he was, he was amazed that they all knew his brand name and products. Mr. Goudas realized that this was a wonderful organization which helped many people regardless of color, race or religion. In addition, they were all volunteer members of the Church. 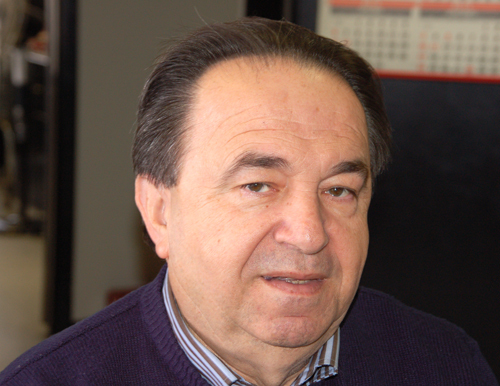 Therefore, instead of being a recipient of their services, Spyros Peter Goudas became a supporter! The event was recorded on film for Television and media. On behalf of The Society of Epirus, We would like to thank you for your generous donation. Once again, thank you for your continued support and generosity. The DYC seeks to address issues of concern in the lives of children and young people in the Jane-Finch/Jane-Wilson community of Downsview. In an effort to meet the important need for affirmation of these young people, we seek to develop, promote and manage the delivery of structured programs and services specifically focused on children ages 6 to 12. As we assist them, we also provide leadership training and employment opportunities for young people ages 13 to 24. As a supporter, your company is identifying with a well run and effective organization dedicated to helping children and young people realize their full potential. More importantly, you are helping the children and young people of Downsview become members of society. This is your gift to the Downsview community, a gift to the betterment of Toronto and a gift to yourselves. On behalf of the Board of Directors, staff, children, and families of The Downsview Youth Covenant, please accept sincere thanks for your generous donation to our program. It is our hope that you will continue to support this important work. 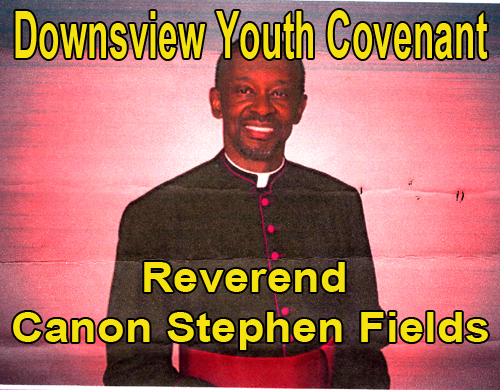 Reverend Canon Stephen Fields has ordained a deacon in 1981 in Brooklyn, New York, and a priest in 1983 in Barbados. He was appointed an Honourary Canon of St. James Cathedral, in Toronto in 2003, and has been the Incumbent (minister) at The Church of St. Stephen since 1996. He is also the Founding President of The Downsview Youth Covenant, an outreach program to youth in the Jane-Finch-Wilson community in Toronto. With this letter, we would like to express our sincerest gratitude and thanks for your generous donation to our School. Your contributions to the Community and to School Programs are unforgettable. On behalf of the Muslim Welfare Centre, I would like to thank Goudas Food Products for the Food donation. We may assure you that your generous donation will go a long way in alleviating the miseries of the suffering lot. Muslim Welfare Centre is a registered non-profit charitable organization serving the needy irrespective of Religion, Nationality, Caste or Creed. Muslim Welfare Centre is, at present, operating Home for Needy Women and Children, Halal Food and Essential Items Banks serving over 6500 families through our 3 branches in GTA irrespective of Religion, Nationality, Caste or Creed. We also operate a Support A Child Program for the education of poor and needy children and Water Exploration Project in Pakistan. We are operating one of its Free Medical Clinic for the uninsured and for those who do not have OHIP coverage in Toronto. We are expanding our social welfare services in Mississauga and Montreal as well. We are entirely dependent on community support like yours. We are proud of our community. With the support of our well wishers, we have made tremendous progress within a short period of our existence. Once again we would like to thank you for your generous donation of foodstuff. May Allah (God) bless you Ameen (Amen). National Council of Barbadian Associations in Canada, Inc.
On behalf of the National Council of Barbadian Associations in Canada, Inc. -Central Region (NCBAC), I would like to thank you for your donation. NCBAC - Central Region appreciates the many contributions Goudas Foods have provided over the years and look forward to a lasting relationship. Jessica Carrington has been a member of Barbados Ball Canada Aid's (BBCA) board of directors since BBCA's inception in 2004. She served as president in 2007 and 2008 and continues to play an active role on the Board and in the organizing of BBCA's annual Barbados Charity Ball. 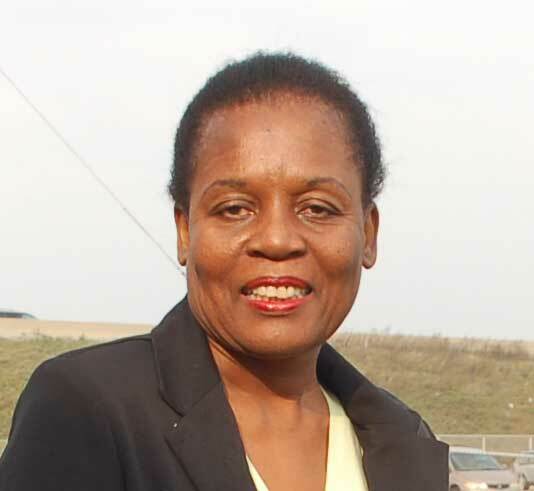 President of Barbados Overseas Community Canada from 1997 to date, she is a past president of the National Council pf Barbadian Associations Canada (NCBAC) and is currently the Women's Representative on NCBAC's board. The Hellenic Home for the Aged Inc.
On behalf of the Ladies Auxiliary of the Hellenic Home, I would like to express our sincere gratitude for your generous donation for the year 2011. Your continuous support is greatly appreciated. We thank you for your donation and we wish all the best to you personally and to your business. Thank you for your contribution to our Food Drive. "In the name aof Allah, the most Gracious, the most Merciful, Service to Humanity is Service to Allah (GOD)"
Our needs for sugar, oil, rice, flour, cereals, pasta, milk, lentils, canned fruit/vegetable/beans are always appreciated. Our center appreciates your generosity. We received a van load of foodstuff of the above items from Goudas Foods for our Muslim Welfare Centre for charity and not for sale. 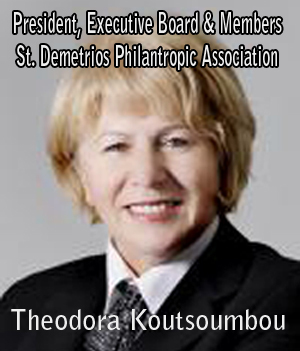 The Ladies of the Philanthropic Association of St Demetrios would like to acknowledge and thank you for your generous contribution of food donation. Our Church's Philptochos Ladies Association consists of women from the congregation who volunteer their time for regular activities. They provide food and beverage services to the parishioners and assist in various community events. Their goal is to raise money for the poor and needy in our city. Your donation was very much appreciated and will assist us greatly in helping to meet these many needs. Once again, thank you for your generosity. On behalf of the St. Michael Archangel Anglican Church, I would like to extend our sincere gratitude for your company's generous support. We thank you for your support and look forward to your continued support in the future. A Christ-centred and caring community where all are welcome and no on is a stranger. Orthodox Community of Evangelissmos Tis Theotokou. Dear Mr. Goudas On behalf of the Orthodox Community of Evangelissmos Tis Theotokou in Oshawa we wish to extend our sincerest thanks for your 2011 contribution. May our Lord and God grant you and your families peace, health, happiness, and continued prosperity. 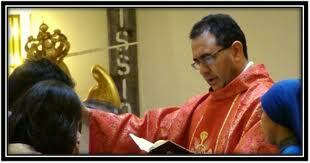 With love in Christ, Father Christoforos Kouloulias, Parish Priest. Again, we would like to thank you for your continuing support of our Mount Zion Food Bank. Our volunteers were so thrilled to see the boxes and boxes of canned goods we had just picked up from your place. These will go a long way in supplementing what we would normally receive from our regular sources. May the good Lord bless you with good health and prosper you in all your endeavors for your kindness and generous spirit. On behalf of the ISNA Canada Food Bank, I wish to thank you for your support. It was quite generous of you and your company to partner with us in helping the needy in our ommunity. 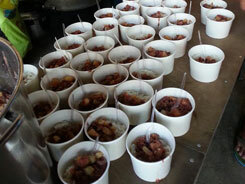 Our outreach program also includes our soup kitchen and meals on wheels to feed the homeless on the streets of Toronto. Last Year, the ISNA Canada Food Bank gave out 88,338 lbs of food with a budget of $96,000 serving, by years end, 530 families with a total of 1,812 dependents. We appreciate benefactors like you, Mr. Peter Spyros Goudas, who have the knowledge and wisdom to display compassion to the less fortunate in our community at large. Once again, thank you for your past support and we look forward to working with you in the future. Volunteers helping out in the Islamic Society of North America (ISNA) Canada Food Bank. We cater to everybody — Muslims, Hindus, Christians. Whoever has a need, we take care of them. Hunger is a very real and widespread problem in many parts of the world. Even in our comparatively affluent Canadian society, many struggle daily to put food on the table for their children and others in their care, such as dependent elderly relatives. Those of us who are blessed with the means to meet our families' needs can make a great difference in the lives of the less-fortunate in our communities by helping provide them with adequate and healthy food. ICNA Relief Canada's Food Banks is a community-run project initiated in August 2005. 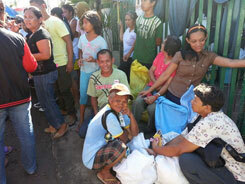 Thanks to generous donations, which are always welcome, it continues to serve the deserving and needy today. In behalf of the Mt. Zion Filipino Seventh-day Adventist Church family, allow me to extend to you our heartfelt gratitude for your continued and generous assistance to our Food Bank. Indeed, you have always shown genuine concern to the less fortunate in our community by your kindness in supplying our pantry with a generous supply of products that carries your name. We praise God for community partners like you. May His boundless grace be upon you and your family always! "Duty Makes Us Do Things Well, But Love Makes Us Do Them Beautifully"
nurturing them to spiritual maturity, and engaging them in Christian service until He comes. We would like to take this opportunity to thank you for your generous support of Project Ramadan 2011 in conjunction with the Muslim Welfare Centre. Your contribution was critical in helping us achieve our mission of helping families in need. Last year, we were able to assemble 450 food packages that would help sustain families of 4-5 for up to a month. This year, with the help of 110 volunteers, we were able to put together 700 food packages, allowing us to help more than 2800 individuals in the Toronto area. Thank you once again for your donation and we look forward to hopefully partnering with you for Project Ramadan 2012. This is to express our thanks to Goudas Foods for your generosity in donating an assortment of your products these past two years. At last year’s South Asian Showcase, we included your products in our prize draws baskets. We have and will continue to include your donated products in preparing snacks for participants in our programs. The Ranji Singh Foundation focuses on creating Caring Neighbourhoods Enriched Through Celebrations of Diversity in Communities. To this end, we produce events and programs, among other initiatives, to combat social isolation through intergenerational integrative social activities. Again, we wish to say thanks to you for your kind generosity. We would like to personally thank you on behalf of our Chapter, for your support of our Calendonstock 2012 event. Your generosity enables the Foundation to fund Canada’s most promising research programs, which might one day, win the battle against this devastating disease. A key initiative is to increase the effectiveness of lung transplantation procedures. For so many young adults with end-stage CF, a double lung transplant is often a final chance at a longer life. When we think of the many children across Canada diagnosed with cystic fibrosis, we are very thankful for people like you are fighting this devastating disease with us. We of the Brotherhood of Christ Healing, Inc. Appreciate your generous donation of food items to our church. We thank you and wish you continued success in your business. The Lord Bless you as you continue to help others who are in need. On behalf of the Hellenic Home for the Aged Ladies Auxiliary, I would like to thank you for your kind donation of the flour, sugar, rice, oil, and honey for our Christmas Event on Sunday 16, 2012. We wish you a heartfelt Merry Christmas and Happy New Year! On behalf of MHSPM, I lake this opportunity to offer our sincere Appreciation and thank for your generous donation. The products were well received and utilized in a double capacity by feeding the congregation as well as being placed in the baskets of the children who participated in the harvest march. The booklets you so well put together were displayed and some of the attendees went home with the ones they were interested in reading. We at MHSPM realize that we couldn't have done such a great event without your generous contribution and we look forward to future endeavors and partnerships. It was a very successful event. Thanks again for your kind support and wish you continued success in your business. Dear Mr. Gouda, We would like to wish you and your family Happy and Healthy New year!!! On behalf of MAHI society, we like to thank you for your support to our cause through our mutual friends Mrs. Effie Tsatsos. and Mr. Tasos Milionis. Your support for the people of our birth country Greece, who are enduring these difficult times was much needed and appreciated by the people. They have already been in receipt of your kind donations and are extremely grateful, as are we. MAHI counts on the generosity of companies and people like you in order to keep on fighting, under very difficult circumstances. As you know, our people are forced to wait in long lines to receive their daily meals. This is a picture I am sure none of us thought we would see again, since the stories of war-torn times. This time the fight is an economic one and our people need help. MAHI is trying hard to put back smiles where we can and with companies, as supportive as yours we know we will achieve it. Mahi Society is a Canadian Government registered non-profit, philanthropic society created out of concern for the daily struggle and pain faced by the most vulnerable among us both here at home and in Greece. Our society’s name is rooted in the Greek word "μάχη"; which translates to the word "battle". MAHI is pragmatic about hunger and poverty in both of these countries. These situations affect millions of people who struggle to live a healthy life in a respectful environment. MAHI will strive to create a better and healthier environment for those who find it difficult to survive under adverse conditions by providing food and clothing. MAHI would like to provide the hope of a better future. On behalf of MHSPM, I take this opportunity to offer our sincere appreciation and thank for your generous donation of food products to our Harvest Thanksgiving Event with such short notice. The booklets you so well put together were displayed and some of the attendees went home with the ones there were interested in reading. We at MHSPM realize that we couldn't have done such a great event without your generous contribution and we look forward to future endeavors and partnerships with the GOUDAS brand. It was a very successful event. On behalf of the Board of Directors of St. Nicholas Orthodox Church-Community of Toronto, we would like to express our sincere appreciation for your generous donations to our Church. Your continued support and interest in our Church-Community is appreciated by all of us. Because of your support, the St. Nicholas Food Drive is able to help many families in our Community. Once again, we thank you and we would like to take this opportunity to wish you and your family good health and happiness always. On behalf o the Society of Epirus, I would like to thank you for your generosity in covering the costs of our society's 49th Annual event, please the celebration of the 100th anniversary of the liberation of Ioannina from the Ottoman Empire. I would also like to thank you for providing plenty of food for the preparation of food baskets for the Kathara Deftera (Good Monday) gathering. It is because of individuals such as yourself, that our society is able to flourish and continue the traditions of our heritage. Recently, our good friend, Dr. Joe McKenna brought us a large donation of your amazing canned fruits and vegetables, sauces, etc. Needless to say, we were and are, deeply grateful to you for your generosity, your lavish generosity. Thank you for thinking of us, for your thoughtful kindness. We are blessed by you and all we received, for we were in much need of it. May the Lord bless you with His peace and joy this Easter. Please be assured of our prayers. Mr. Goudas is a name that means generosity, kindness, and openheartedness. Everyone knows that you support singlehandedly numerous organizations. We are extremely thankful and honored that you chose our soup kitchen to be a recipient of your kindness. With your help, we will have the ability to continue to help the less fortunate and vulnerable of our community. 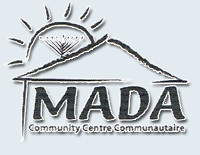 MADA is a volunteer-based organization dedicated to breaking the cycle of poverty in our community. As one of Montreal's largest soup kitchen and food bank, the MADA Center now serves 500 hot meals daily including weekends and holidays. Our newly expanded food bank provides over 4,400 families with food baskets every month. In 2012, MADA distributed 10,975,000 pounds of food, 282,726 meals and 53,454 food baskets. It is only with your generous support, that we are able to continue to work to better the lives of the needy in our community. In the merit of your good deed, may you and your family be blessed with good health, happiness, and peace of mind? Vice-President, Chaim Shlomo Cohen - Executive Director, Shoula Cohen - Treasurer, Moshe M. M. Hirschhorn - Secretary. The directors: Rebecca Bergman, Benny Bouganim, Ronnie Cons, Yosef Drihem, Jack Dym, Aviva Orenstein Kalin, Rabbi Berech Mockin. On behalf of the Dinner 2013 Planning Team of DLP Barbados (Canada), I would like to thank you for considerate food donation at the "Annual Errol Barrow Memorial Dinner" September 21, 2013. Your generosity was greatly appreciated by all and added to the evening's festivities. Again, thank you so much for your generosity. I wish to thank you once again, on behalf of the Mount Zion Filipino Seventh-day Adventist Church. Your kindness and generosity are essential to our Community Services, most especially the Touch of Love feeding program for the unfortunate in the downtown area. Your continued support means a great deal to us and to the community we serve. 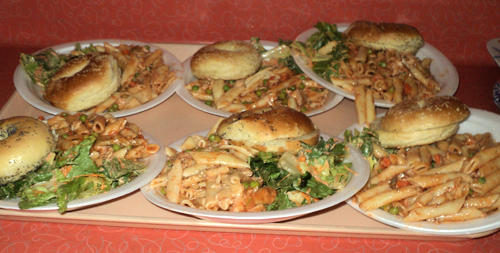 The people surely enjoyed the pasta dinner served to them along with all the other products you provide to us. Again, our deepest thanks to you. We pray that the Lord continue to bless you with good health and prosper you in your efforts to help alleviate hunger to the many men and women in our community. Attached are some pictures were taken by one of our volunteers, Sarah Dragon, at our last feeding. You may post these pictures since they were taken from far away and respecting homeless peoples privacy. Thank you, on behalf of all volunteers and myself, that work tirelessly to achieve what God has assigned us to do. In closing this subject, we asked Mr. Goudas how he felt about the year 2013. He responded, “Despite everything that went wrong in 2013, I am very pleased that I was able to help, to the best of my ability, numerous organizations and people in need. Dear Mr. Goudas, I am a Canadian from Hong Kong. 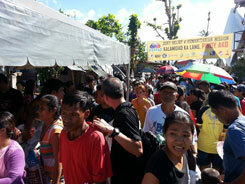 For many years, I support on a regular basis, many poor families in the Philippines, as well as Pastors. I never really asked for support from anyone, and I try to do everything as much as I can on my own. This week, a disaster in the Philippines with Typhoon Haiyan, was something that was not expected, so, the demand for people in need in the Philippines, is beyond my ability at this point. For many years, I purchase products from your company to help my endeavor, which I personally finance. However, my request for additional support for the extra needs did not fall on deaf ears. So, Mr. Goudas, thank you so much for the additional food items. I’m giving you my assurance, that whatever you provide to us will be given to the proper hands. The container and big parcels of food will be distributed to the disaster area. On 8 November, Typhoon Haiyan made a direct hit on the Philippines. Devastating areas in 36 provinces. Haiyan was the most powerful storm ever recorded. 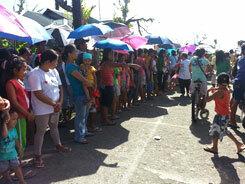 Typhoon Haiyan first made landfall in Guiuan, Eastern Samar province. Rain fell and massive storm surges up to six meters high hit Leyte and Samar islands. Many cities and towns destroyed in some areas. Mr. Goudas met Sofie Hui and promptly, without hesitation, donated a further amount of products to assist her contribution to this disaster relief. This is a wonderful act of generosity on Sofie Hui part. We commend Sofie Hui for this gesture and it is good to know that there are such people in the world. Peter Goudas arranged and shipped several containers of food and relief items to the devasted areas. While watching his video you will notice Mr. Goudas begins by saying, “I just came back” he has just come back but not from a vacation. He was “away” making sure that all his outreach efforts for the holidays were going smoothly. During the holiday season especially, Spyros Peter Goudas provides several shelters, food banks, churches and other organizations with food items to make meals for the needy and less fortunate. This he does without considering the age, color, race or religion of the people likely to benefit. 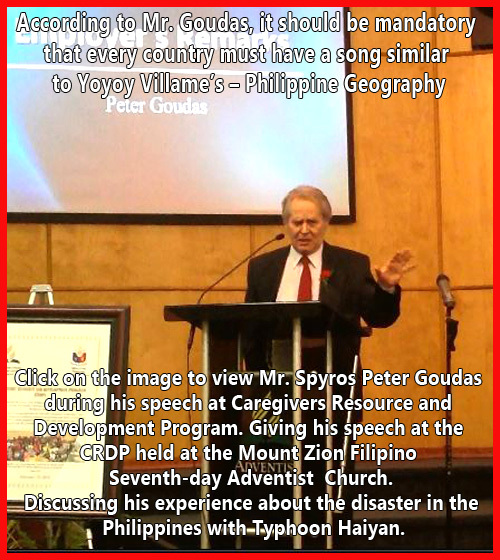 According to Mr. Goudas, it should be mandatory that every country must have a song similar to Yoyoy Villame’s – Philippine Geography that would educate the kids about the place they call home. Philippine Geography lists in order the 77 provinces, towns, cities, villages within the country. Unknowingly, Yoyoy created a masterpiece, which in the Philippines, became a benchmark for education. Grade two Students were expected to know the song in its entirety and successfully sing or recite the Islands in order to move on to the third grade. Click on the image to view Mr. Spyros Peter Goudas during his speech at Caregivers Resource and Development Program. Spyros Peter Goudas giving his speech at the CRDP held at the Mount Zion Filipino Seventh-day Adventist Church. Discussing his experience About the disaster in the Philippines with Typhoon Haiyan. He began by introducing himself and as time progressed, he realized that everyone already knew him. He mentioned that he associated with the Filipino community began in the early 1970s when he developed the first Coconut Milk in the can, along with the Filipino favorite Macapuno and Nata de Coco. He humorously added that he had never seen a Coconut Tree or Mango Tree until his trip to Costa Rica. He indicated the various organizations and associations which requested his support and which he never denied. He emphasized the Tsunami in Sri Lanka, Hurricane Gilbert in Jamaica, Earthquake in Haiti and others all of which are documented in this section of the website. He gave credit to individuals such as Sarah Dragon and Belle Gazon whom he brought on the podium to introduce to the crowd. He added that the Nobel Peace Prize Committee for Humanitarian effort contacted him with respect to possibly award Ms. Belle Gazon for her humanitarian and volunteering work which included feeding the homeless and underprivileged in our city for many years with his support on a regular basis. He focussed on the Typhoon Haiyan in the Philippines, the disastrous circumstances, and recovery efforts. He mentioned somewhere that some people just do not care to say The Philipinnes is just too far away and that they are not interested and have other things to do including watching hockey tonight. He gave credit to Sofie Wui and Alex Pacis. His speech and the video was almost one hour long and quite entertaining to everyone who lined up to shake his hand and take photos with him. The video traveled very far, all the way to the Philippines and was viewed on Philippine National Television. We hope you thoroughly enjoyed this presentation. 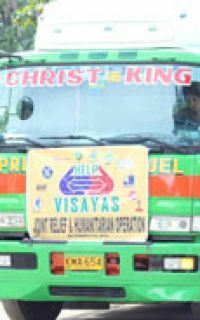 Thank you so much for donating truckloads of food items towards our relief effort for the victims of the recent Super Typhoon “Haiyan” or “Yolanda” that hit the province of Leyte in the southern region of the Philippines. The affected areas continue to suffer from this tragedy, physically and emotionally. Your donation of food is such a blessing and is surely going to be a great help. We are truly grateful. Sickness and hunger are now setting in as the weeks pass. 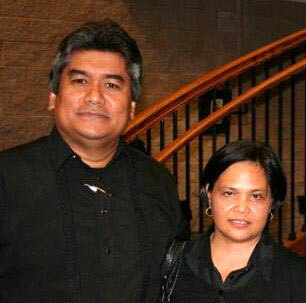 www.churchplanting.ca, or call our Admin & Finance Manager, Mr. Joby De Belen at (647) 409-4287. Once again, thank you and God bless. There were 35 tons of food and other emergency needs including mosquito nets, sleeping mats, blankets and prescription drugs that were distributed along with thousands of hot meals and counseling. 50 people went with this project in the first week of December to two major cities, Ormoc and Tacloban along with 14 doctors with medicines. They did this for almost 10 days in very hard situations where there are no hotels or proper accommodation for Canadians, Americans, Chinese and Filipinos alike. One washroom for all of them and they slept in the damaged churches without electricity and running water. 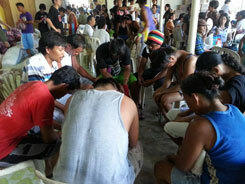 Right now, we are preparing another big push towards Samar, another province that was hit by the storm. People, there are much less looked after and people are now getting sick of Dengue. We plan to attend to 2,000 families to help them get their lives back to normal. Thank you, Mr. Goudas, for your help. God bless you and may the Lord continue to prosper your endeavors for the good of those who are in need. 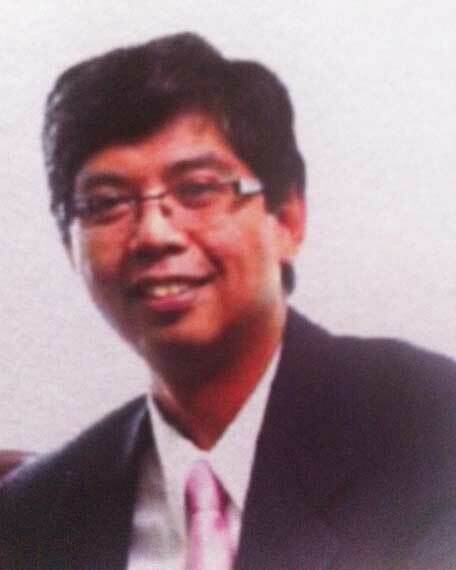 Alex Pacis is the Director of Diaspora Ministries in the Americas at World Team Americas and also the Chairman and Acting Executive Director at Emmanuel Relief and Rehabilitation Philippines. 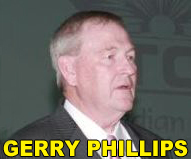 He is also the Executive Director of Church Planting Ministries Inc., a registered Charity in Canada. 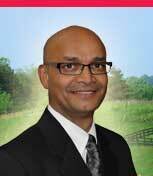 His past work also includes being a Missionary & Church Planter and also held the position of Canada Field Director at World Team. 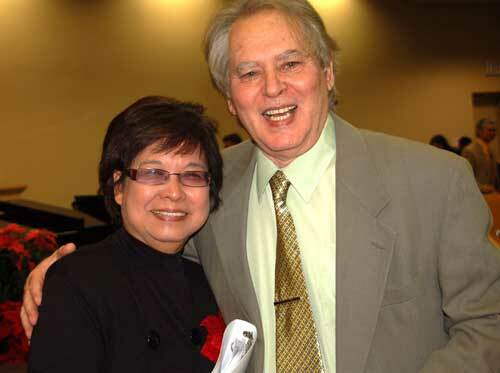 He went to school at Central Baptist Seminary and the University of the East, Philippines. He and his family live in Mississauga, Ontario, Canada. On behalf of the Hellenic Home for the Aged, I would like to thank you for your kind donation. Your thoughtful and kind support toward the enrichment of our seniors' well being is commendable. On behalf of the Society of Epirus, I would like to thank you for your generosity in sponsoring once again the student awards night. Our 50th Anniversary Gala on the 22nd of February 2014 was a great success because of organizations such as Goudas Food Products. It is because of individuals such as yourself, that our society is able to flourish and continue the traditions of our Greek heritage. On behalf of St. Athanasius Orthodox Christian Mission I would like to thank you for your kind donation of food products to be sent to poor and needy families in Greece. As you know the financial crisis in Greece and the tough austerity measures imposed by its creditors have pushed the country into a long-lasting recession (now at its 6th year!) which has resulted in record high unemployment of over 27 percent, an explosion in suicide cases and nearly a third of the population in poverty! In its latest report, UNICEF states that one in three children in Greece is at risk of poverty or social expulsion. The total number may shock 686,000 children or 35.4 percent of the children population in Greece. The causes? Rising parental unemployment and cuts in welfare benefits. 292,000 children live in households with no working adults and – of course – have no access to the health care system. Greek people watch helplessly as more austerity is being imposed every day in pursuit of a remedy that according to a report published recently looks like “a medicine that sought to cure the disease but is instead killing the patient”! In reality, instead of bailing out Greece, they have forced the country under and pushed it into its deadliest humanitarian crisis since the Second World War! Despite its limited capabilities our Mission has decided to do something about this dramatic situation and help our needy Greek brothers and sisters any way we can. Therefore, with the help of philanthropists and caring people like you we have collected many non-perishable food items and a large quantity of reusable clothing which will be put in a container and shipped to Greece in a few days for the relief of Greek families in need. The fundraising event held at our Mission yesterday to cover shipping and other costs were very successful and we managed to collect $3700 in donations from those that attended. I thank you again for your support and contribution to our cause. 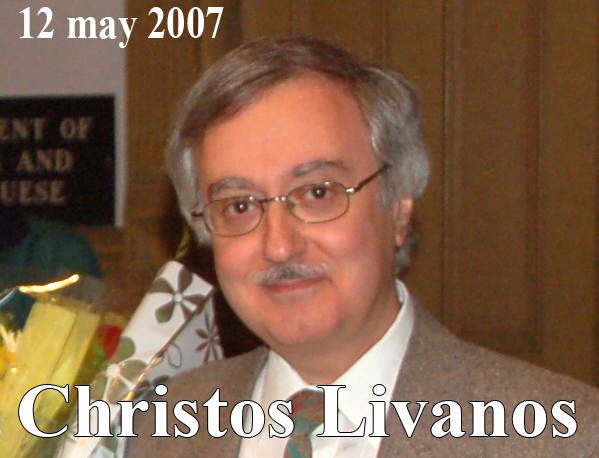 In the photo taken in 2007 is Mr. Christos Livanos. Mr. Livanos is from Athens, Greece and immigrated to Canada in 1974. He worked for twenty years in the banking industry and then in the advertising field. 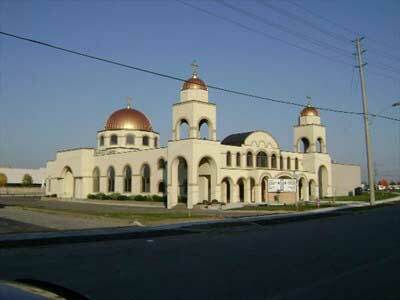 In 1992, he founded a Religious Organization, The St. Athanasius Orthodox Christian Mission. Spyros Peter Goudas suggests that should anyone reading this article and is willing to assist this worthy organization, contact Mr. Christos Livanos at 416-461-4623. Your donations will definitely be very much appreciated. The above letter was submitted to Spyros Peter Goudas on July 28, 2014. Since that time, every year Mr. Christon Livanos has rented garage space big enough to accommodate products from different companies willing to help him with this cause. Consequently, he has spent considerable time with much effort to solicit companies and using his vehicle to deliver the donated items to the garage location, until such time that there are sufficient items to fill a container for shipment to Greece. For this project, he spent all his extra hours committed to this cause which is close to his heart. Unfortunately, at the present time, Mr. Livanos has suffered a health issue which prevents him from physically continuing this mission. On May 23, 2016, I received a telephone call advising me about his situation. Of course, I immediately visited him at the hospital and spoke to him. He was in good spirits and he mentioned to me that his faith is strong and he would like to continue his mission with God's help because Miracles Still do Happen. In the meantime, I will continue to do the best that I can to fill the gap for this great man. On behalf of Constellation Brands Canada and our continued drive to support "Nourishing Neighbours" I would like to thank you for your generosity and a strong sense of community in partnering with our team in order to place great food on tables for those less fortunate. Your contribution in conjunction with our overall food drive challenge has allowed us to raise over TWENTY-TWO THOUSAND POUNDS of food to support our community this Thanksgiving. Thank you so much for all the goods you sent us via Dr. Joe McKenna, your good friend and ours. What a great gift and help they were! Our lives are blessed by such generous people as you. We keep you and your family in our daily prayers. Today's letter is an acknowledgment of your generous and recent contribution to our Food Bank at Mount Zion Seventh Day Adventist Church. In addition to your contribution to the Food Bank, we would also like to thank you for the additional items which will support our ongoing effort of feeding the homeless in Toronto on a regular basis. Your contribution enables us to continue our effort to support the needy and the homeless. Without your support, this effort would be unattainable. We sincerely thank you for your continued support since you first entered our doors years ago. Mr. Goudas, thank you very much for your support to our country in respect to Typhoon Haiyan in the Philippines in November 2013. We are extremely pleased with the articles that you have posted on your website regarding our congregation at Mount Zion Seventh Day Adventist Church and the videos you have uploaded giving the world an insight into our culture. The Filipino geography video reflecting Yoyoy Villame with Jannet Benigno was viewed by all the members of our community. Thank you once again for your contribution and support to our congregation and culture. 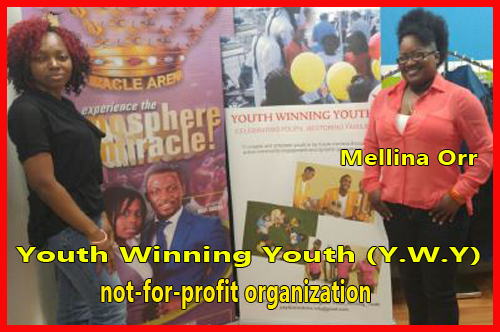 I am the founder of Youth Winning Youth, a not-for-profit organization, founded in 2009. Our organization is committed to meeting the diverse needs of the youth within our community. In 2014, we began a project called Perfect Hearts. Our intent was to lead community drives in order to compensate for some of the needs of the families and youth and to empower them to look and feel their best. Thanks to the help of our generous sponsors, we were able to distribute food, clothing and school supplies thanks to the help of our sponsors. Since our program has started, we were able to provide back to school supplies and our grocery items to over 200 families from low-income household as well as youths in Shelters and Group Home. We would like to thank you, Mr. Goudas. A proud supporter of Canadian families and communities for understanding the great need within our community. Due to your generous donations, we would be able to touch the lives of many families in need. I would like to take this opportunity to thank you for your donation to the response effort with respect to the Earthquake in Ecuador. As a native of Ecuador, my heart grieves for my country and my people. The victims of this horrific disaster will reap the benefits of your generosity. This is a wonderful act of generosity on Rocio Arteaga Chica part. We commend Her for this gesture and it is good to know that there are such people in the community. Was founded in 1996 through the amalgamation of Syme Family Centre and Jane/Woolner Neighbourhood Association. SWNFC builds on their legacy of providing high-quality programming that engages community members from childhood through adolescence to adulthood. Working in partnership with other local agencies and community groups, SWNFC advocates for the provisions of appropriate and effective community-based services to ensure that programs and initiatives clearly demonstrate elements of leadership development and participant involvement. Community residents are actively involved in defining and developing services that address the issues important to the community. 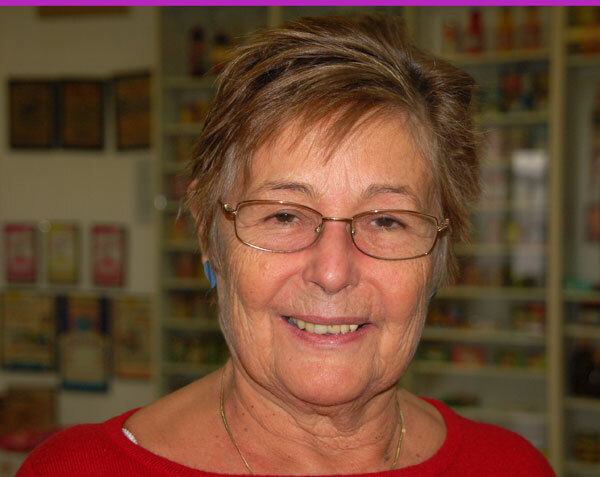 On behalf of the Syme Woolner Neighbourhood and Family Centre I Christine Taylor, Executive Director, would like to thank you for your contribution to our Food Bank which provides assistance to those in need in our community. Dear Mr. Peter Spyros Goudas, We hope you are well. Thank you for all the wonderful food items! We wish you well and keep you in our fervent prayers. We are pleased to offer you our sincerest thanks, for all the wonderful donations of fine Food Products that we have received over the years. You have been so generous and kind, not only to us but also to so many other worthy causes. We could not begin to count the gifts of beans, rice, canned goods that we have received so graciously from you for the past 30 years. 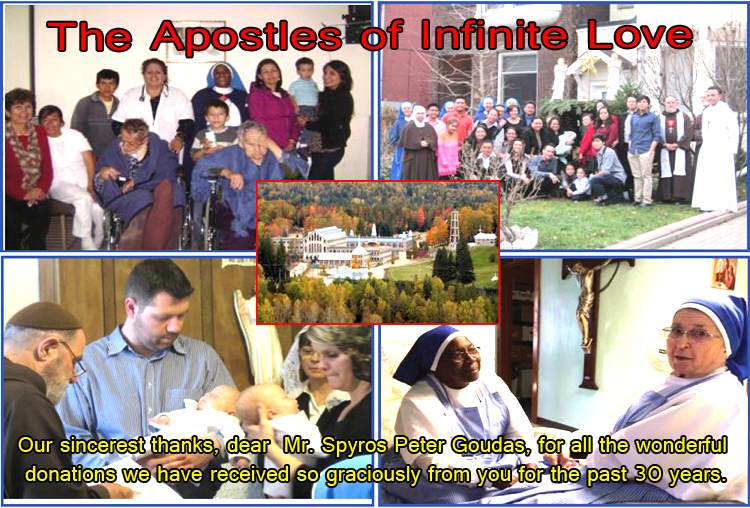 When we first came to Toronto, after a major fire at our Motherhouse in Quebec, we were in need of all, and so knocked at your door quite often. Now we provide food at our various locations for over 300 individuals daily and for more than 150 families on the weekend. At Christmas time we put together 750 beautifully prepared food boxes for the needy. All this is possible because of the generous response of companies like your own who have room in their heart for those less fortunate than themselves. “Whoever is kind to the poor lends to the LORD and he will reward them for what they have done.” Proverbs 19:17. We have the deep conviction that our dear Lord considers your gift as given to Himself for He said: “What so ever you do for these, the least of my brethren, you do for Myself.” Matthew 25:40. He will reward you as He alone knows how. We wish you all the best, dear Mr. Goudas, and assure you of our fervent prayers for your many intentions; for your health and happiness. not love You!” One day he brought them Holy Communion. 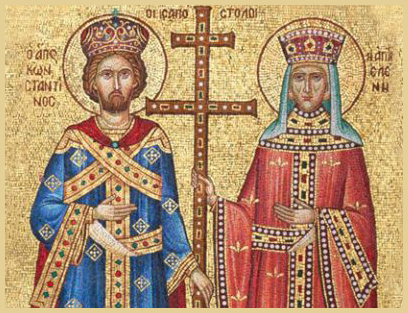 Saints Panteleimon, Anna & Paraskevi. On behalf of the Greek Orthodox Community of Markham - Saints Panteleimon, Anna & Paraskevi. Attached please find a "Thank You" letter for your generous donation. Thank you for your donations and generosity towards Showers of Blessings Ministries. Hoping that The Lord will continue to bless you with long life, good health and prosperity in abundance, as you reaching out continually as Job in The Bible did, who parted with his goods to help the poor and needy. We thank God for you. You have seated a monumental good example which we seek to follow ourselves. Showers of Blessing Ministries is a charitable organization. We seek to assist the poor and needy in our community here in Canada first and wherever help is needed. We host free events on a continuous basis to provide for the less fortunate people that is in need of the resources we have every given time. At times it is a challenge but we do what we can. We are a faith-based ministry closely following the scriptures on the teaching of the disciples of Jesus who were the first benefactors of the instructions of Jesus Christ. We believe that all faiths should be the first responders in time of greater needs, such as calamitous conditions. We the above ministry thank you for reaching out to us and others with your resources, helping us to help others: Psalm 41:1, Leviticus 19 10 25 - 35. For more information please call 289-339-4960/647-631-5649.